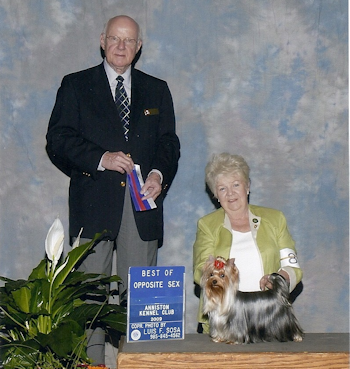 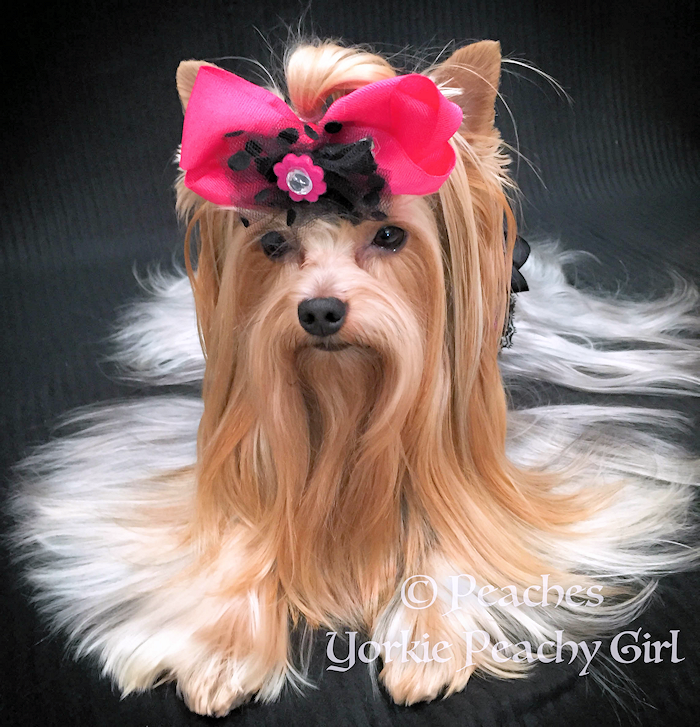 Peaches is a pure bred Yorkshire Terrier , from a show line of winning Yorkies, who we have had since she was 4 months old. 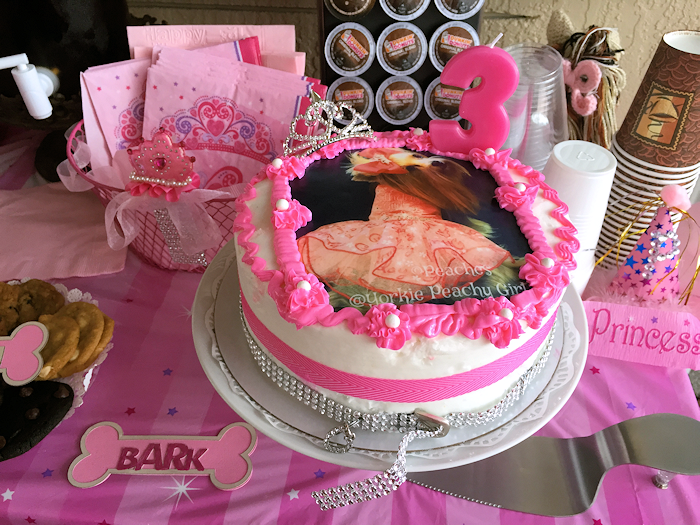 She is now around 3 years old and already has achieved many accomplishments in her young life. 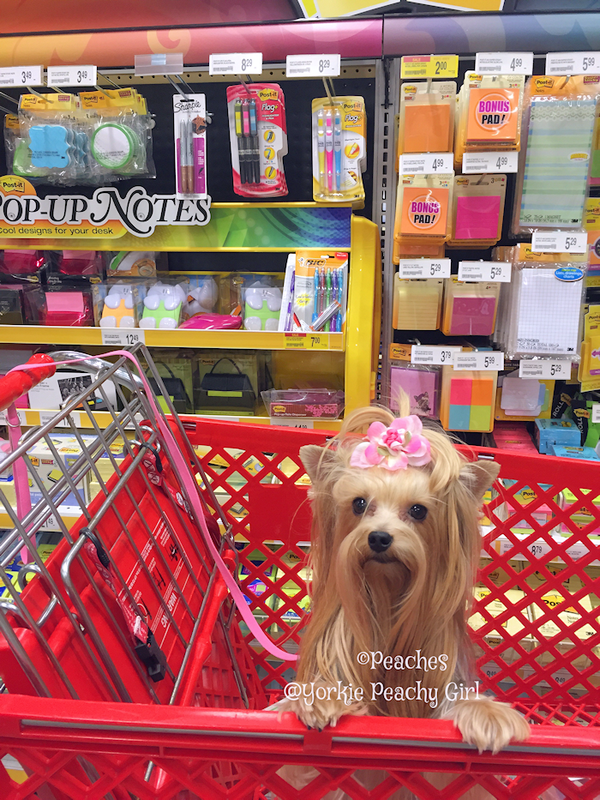 Peaches did her basic puppy training and Graduated from Petsmart and then after several months of additional Certified Therapy training, she passed her exam flawlessly. 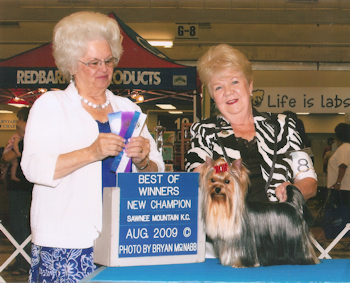 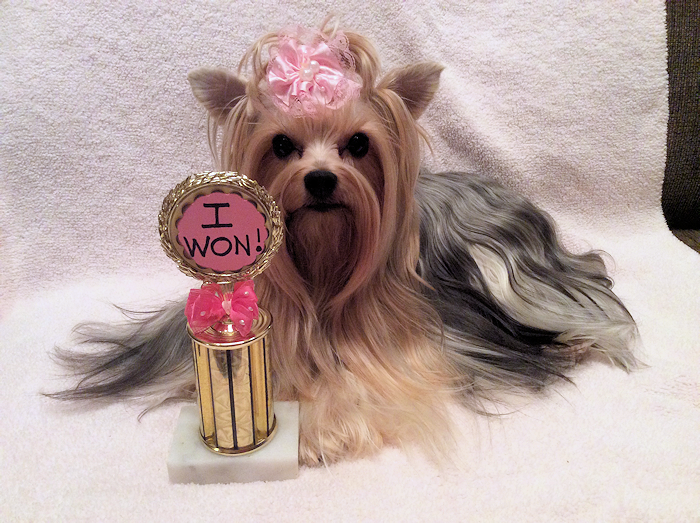 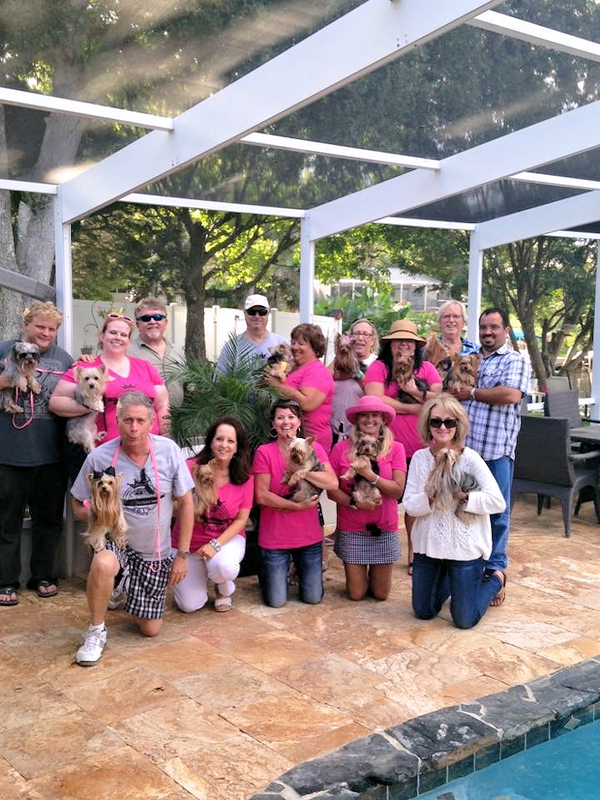 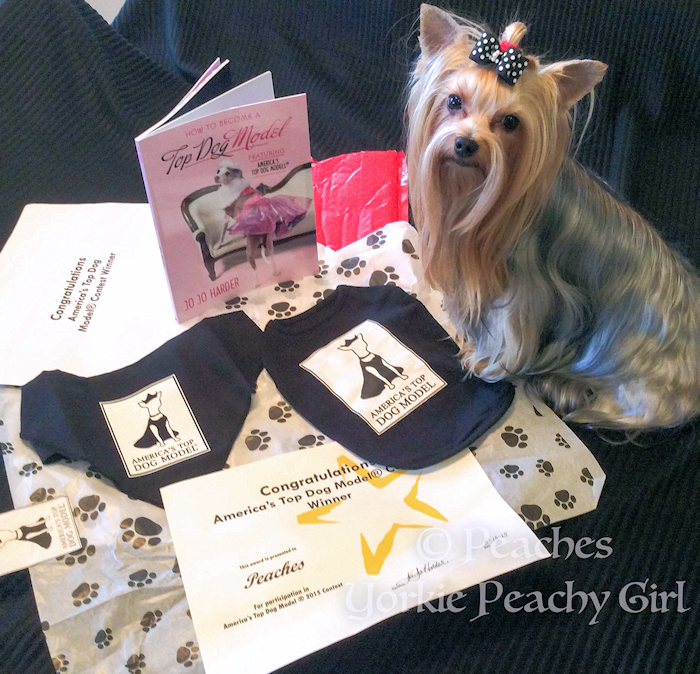 In 2014, Peaches competed and won the World Wide Terrier Photo Contest and that was the start of a new exciting life. 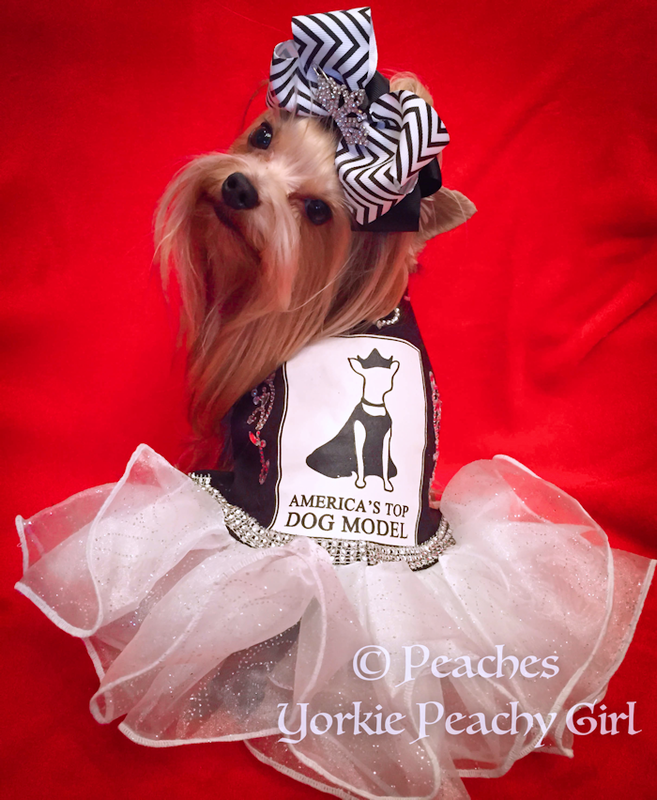 This beautiful little glamourous Fashionista also has just won the prestigious National @America’s Top Dog Model 2015 award. 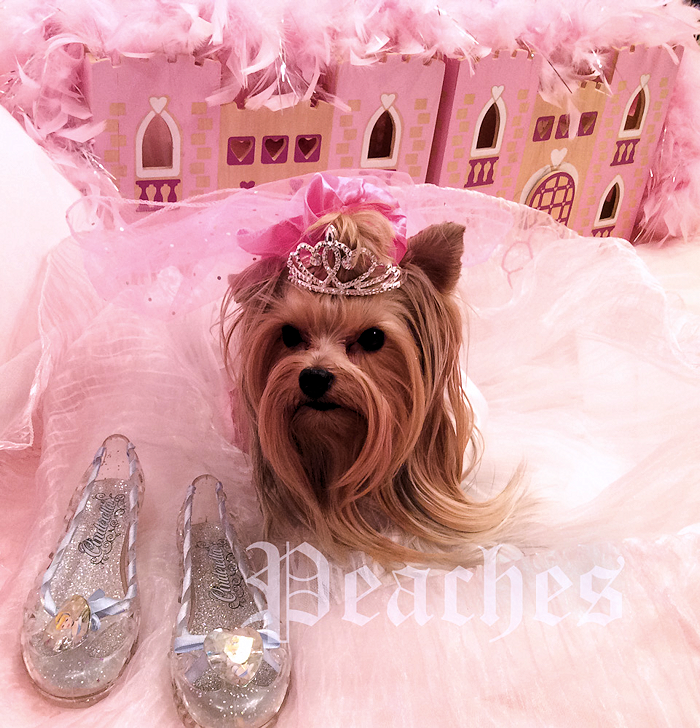 Peaches will be featured on the cover of their 2017 Calendar. 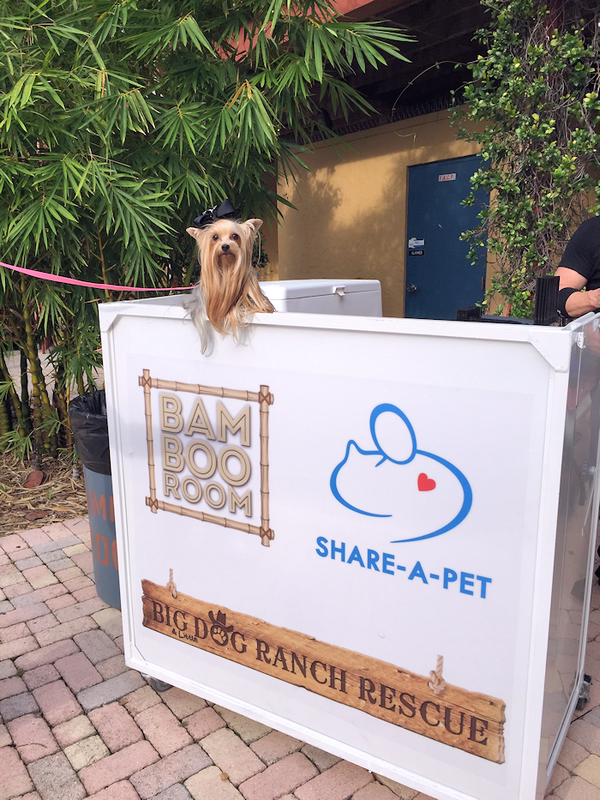 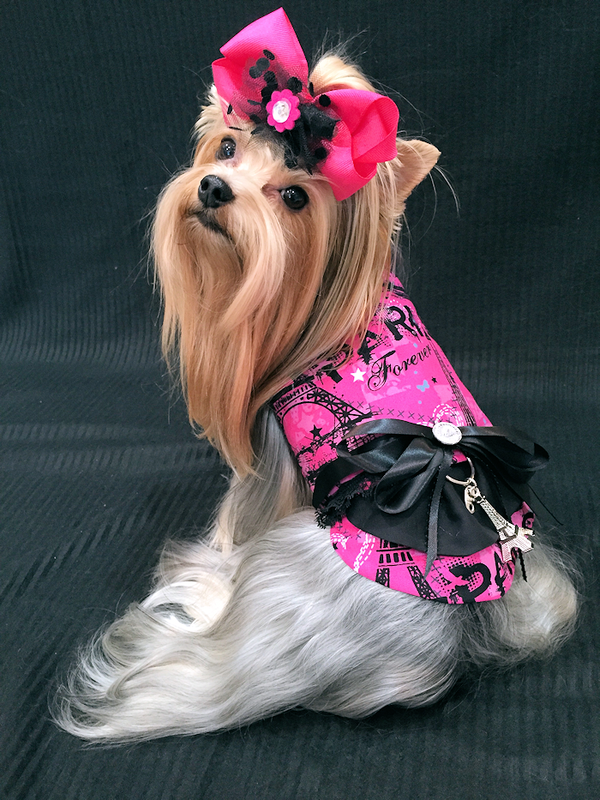 Winning @America’s Top Dog Model 2015 has brought her new modeling opportunities, magazine and newspaper write ups such as in Pet International News, The Atlantic Avenue Magazine, The Coastal Star and more. 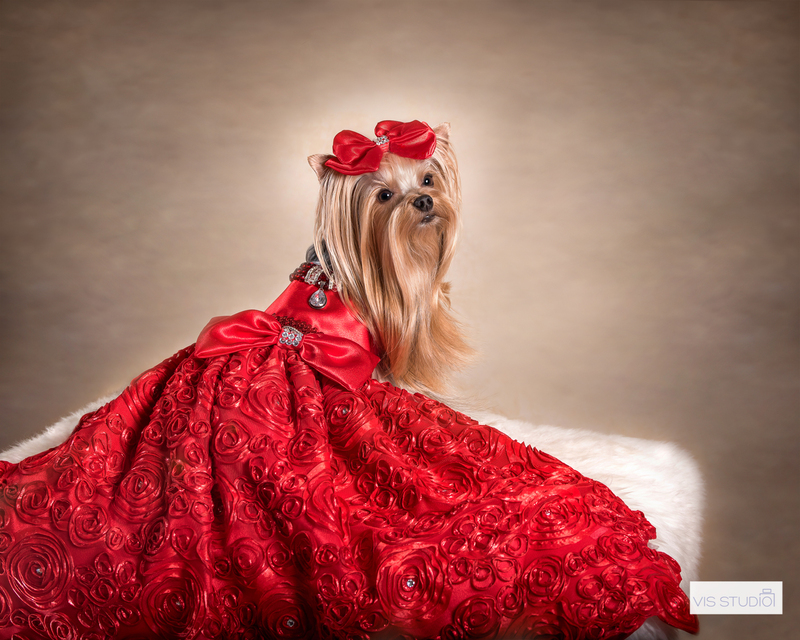 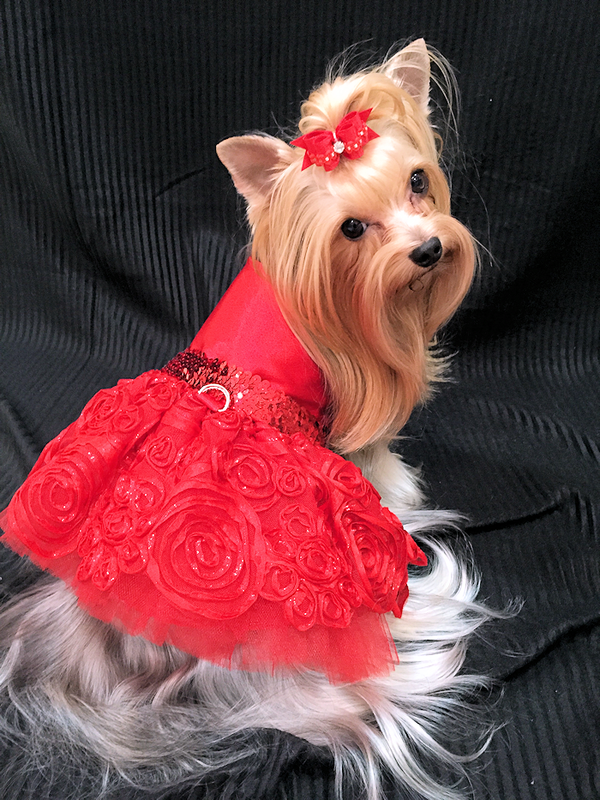 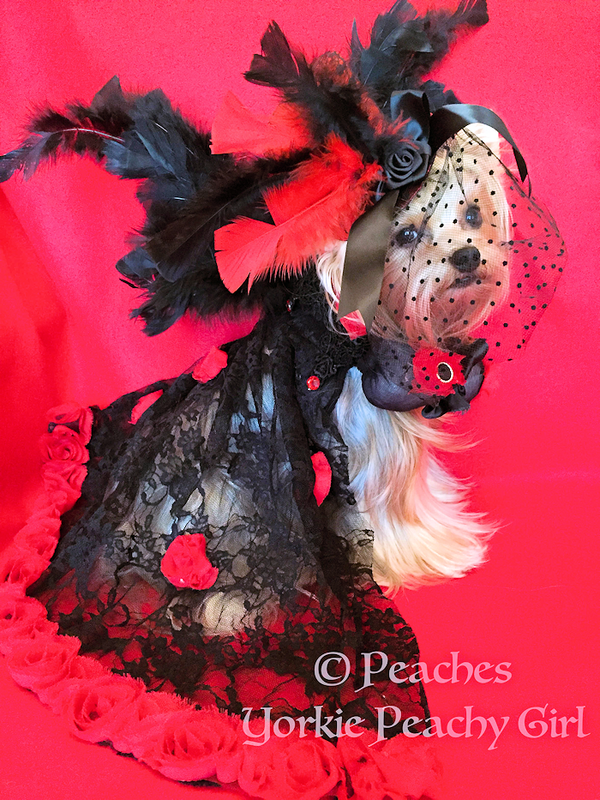 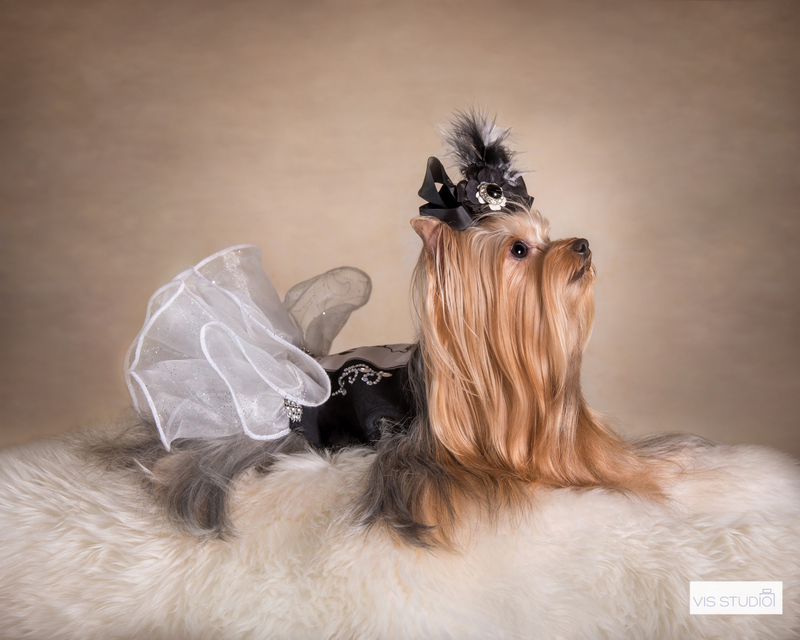 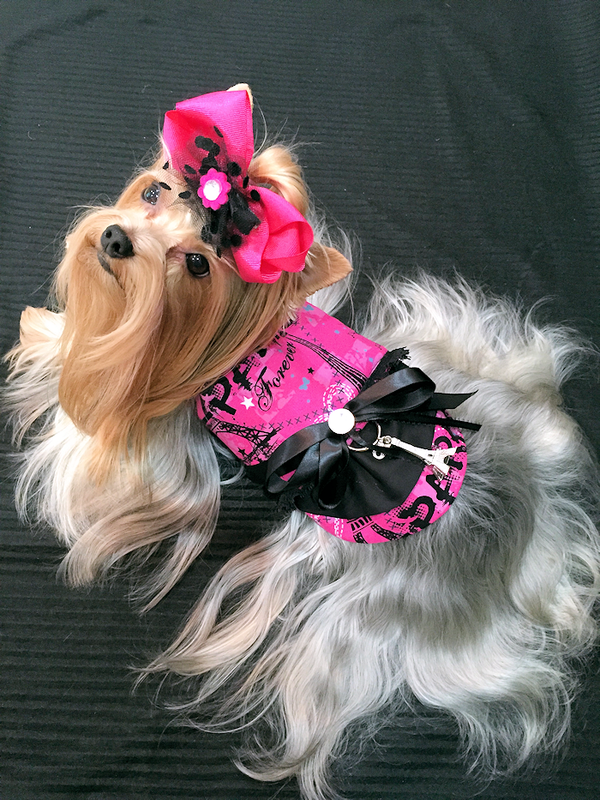 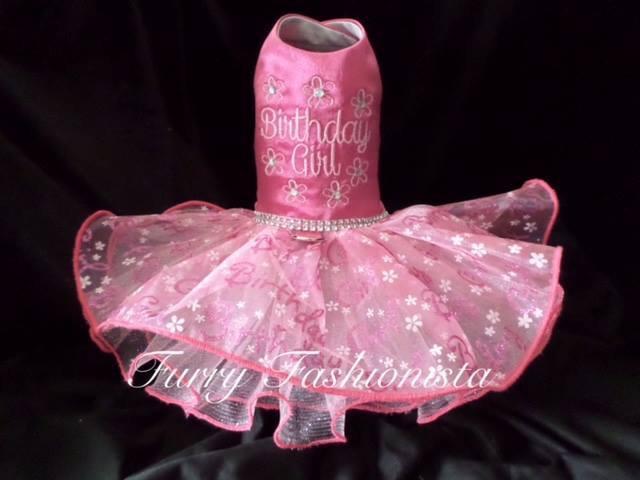 She models couture Doggie clothes and many times will be invited to charity events to support local rescues. 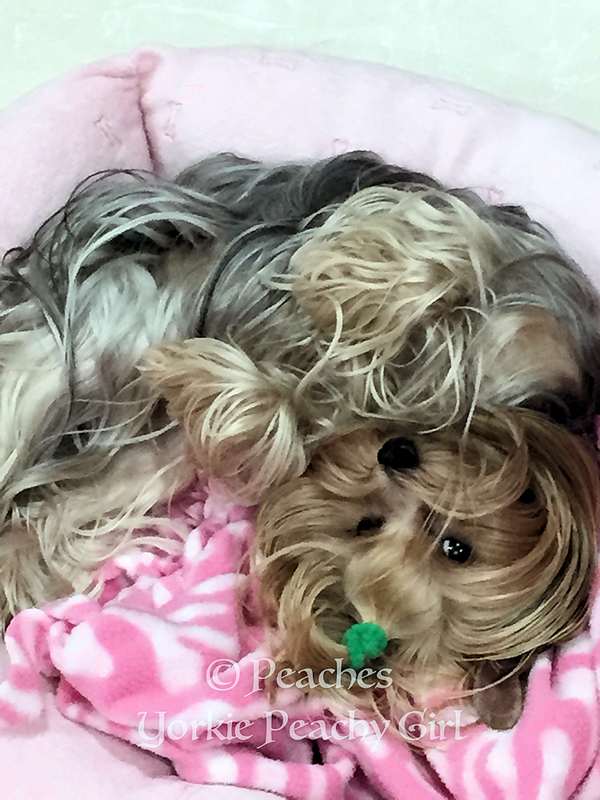 Peaches is full of love, very obedient, loves getting fancied up and is incredible with children. 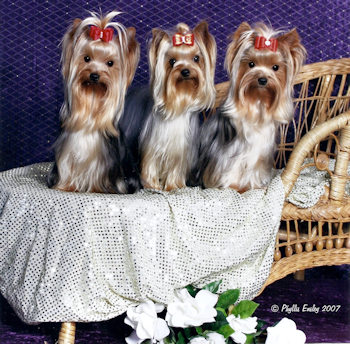 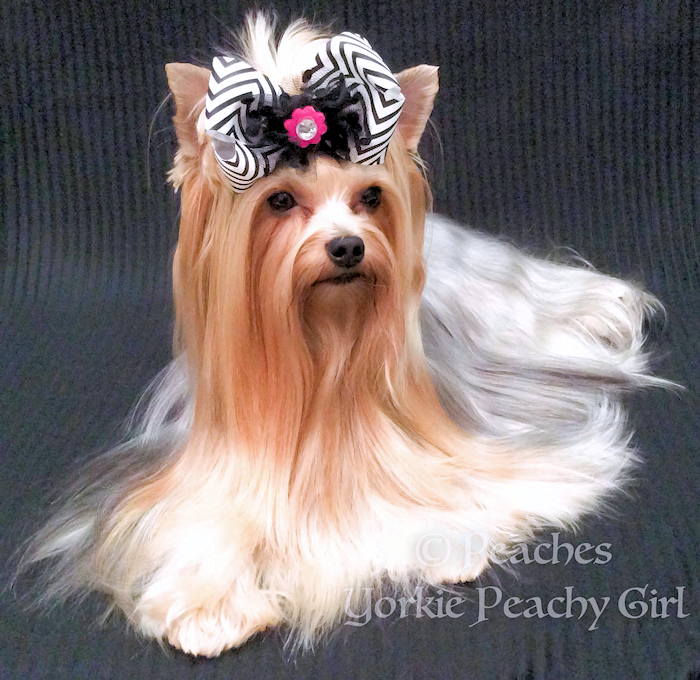 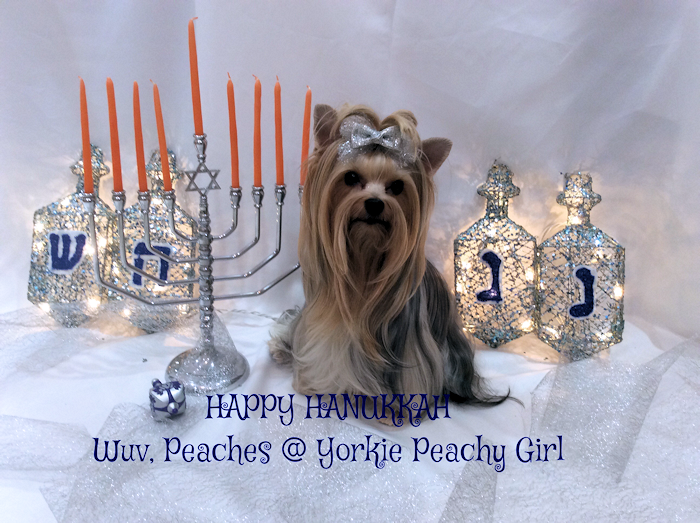 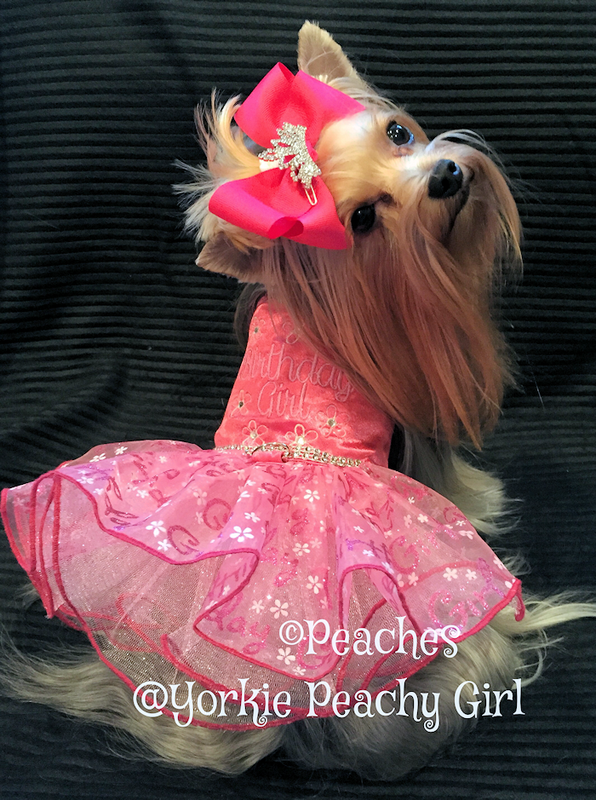 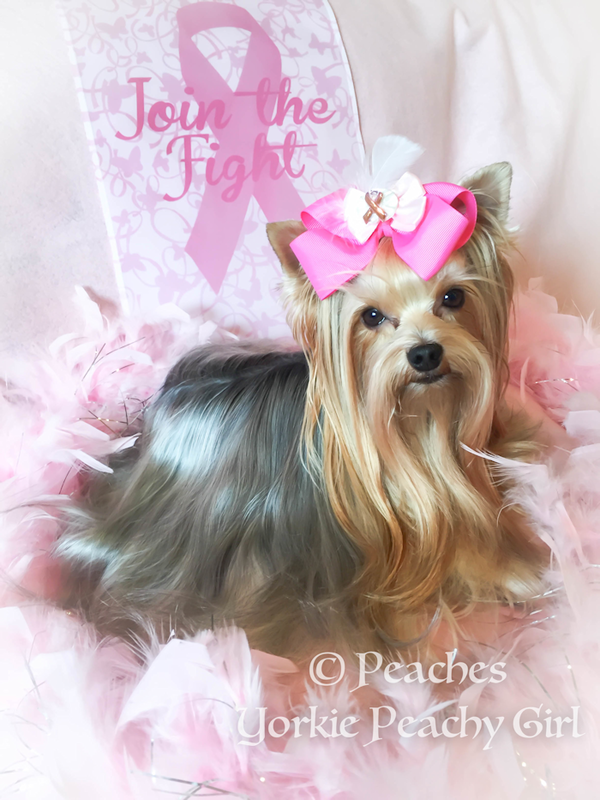 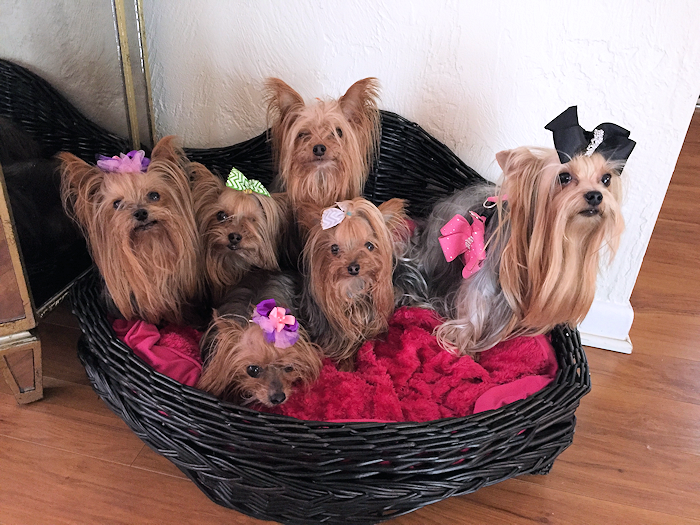 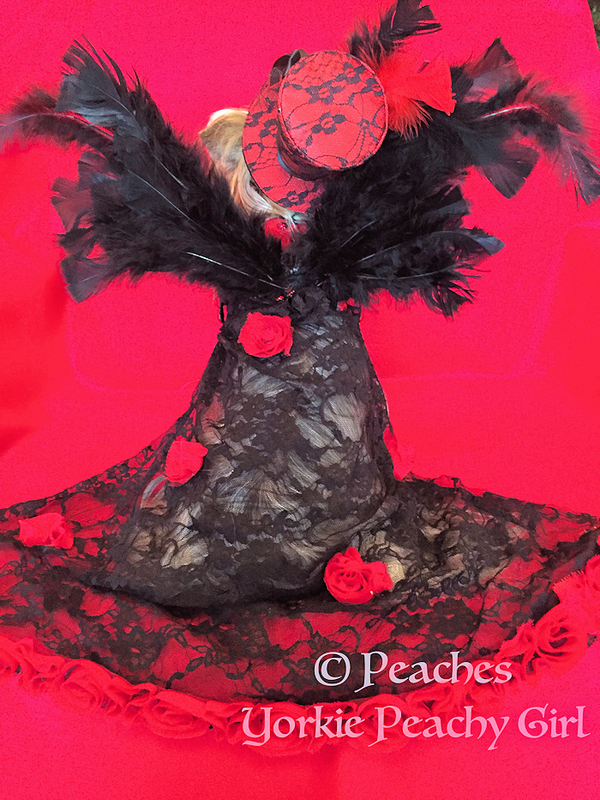 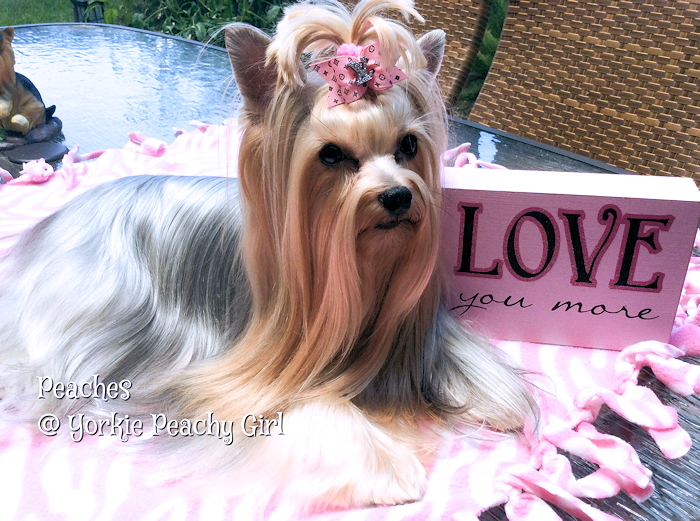 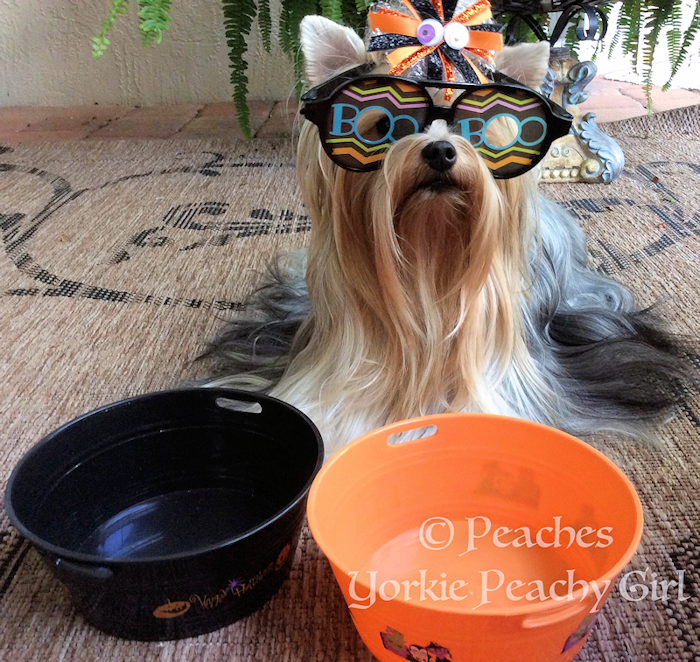 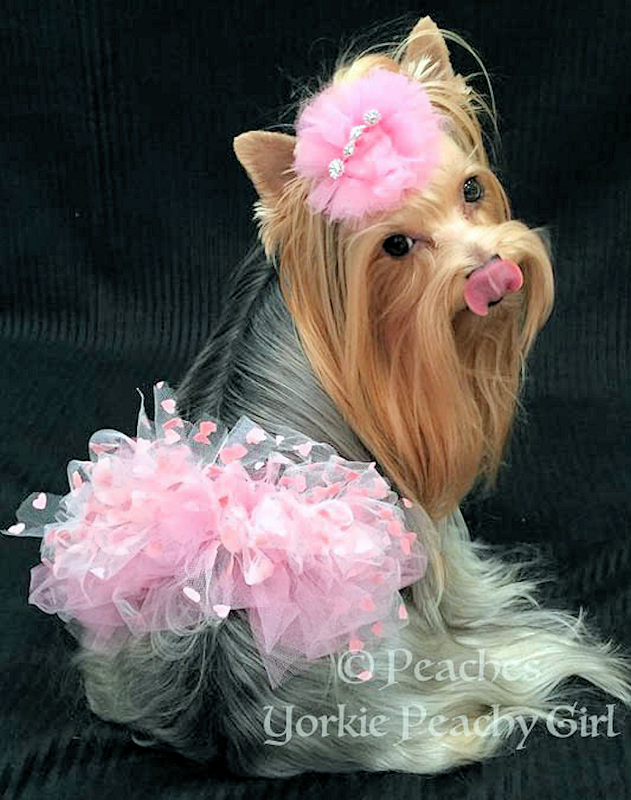 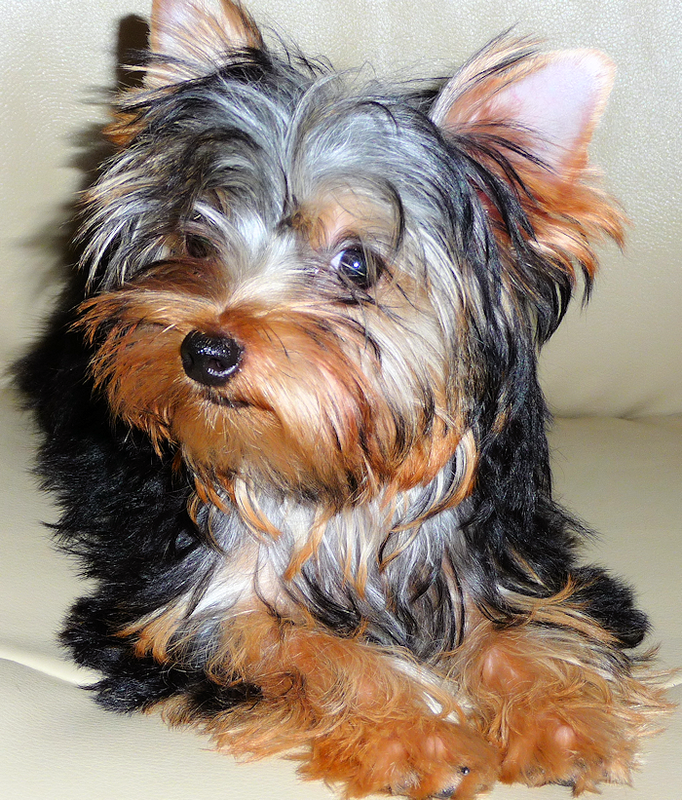 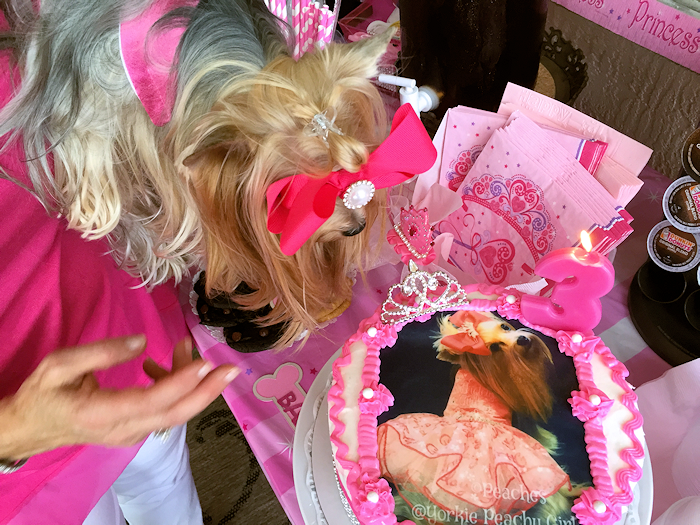 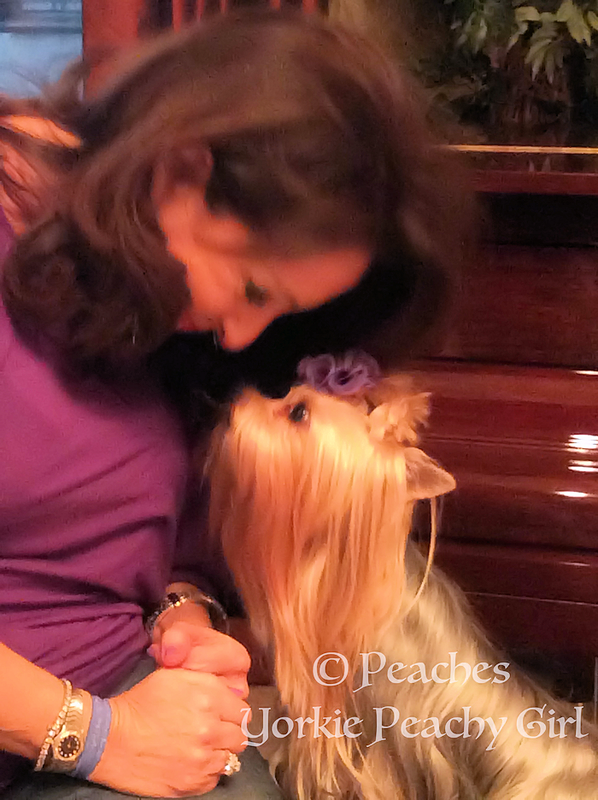 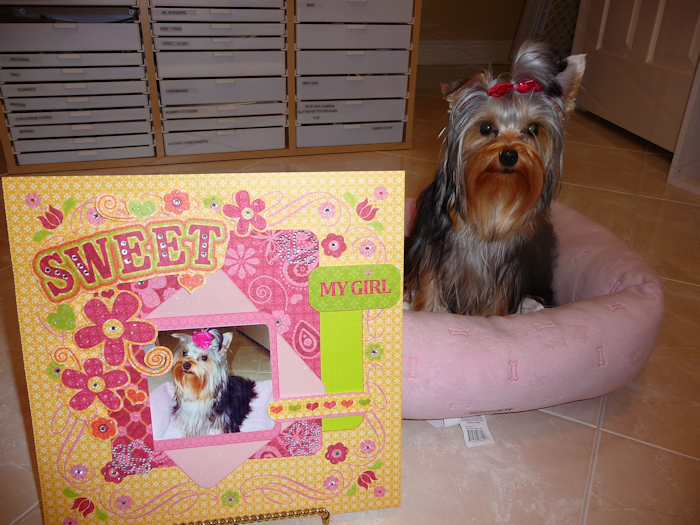 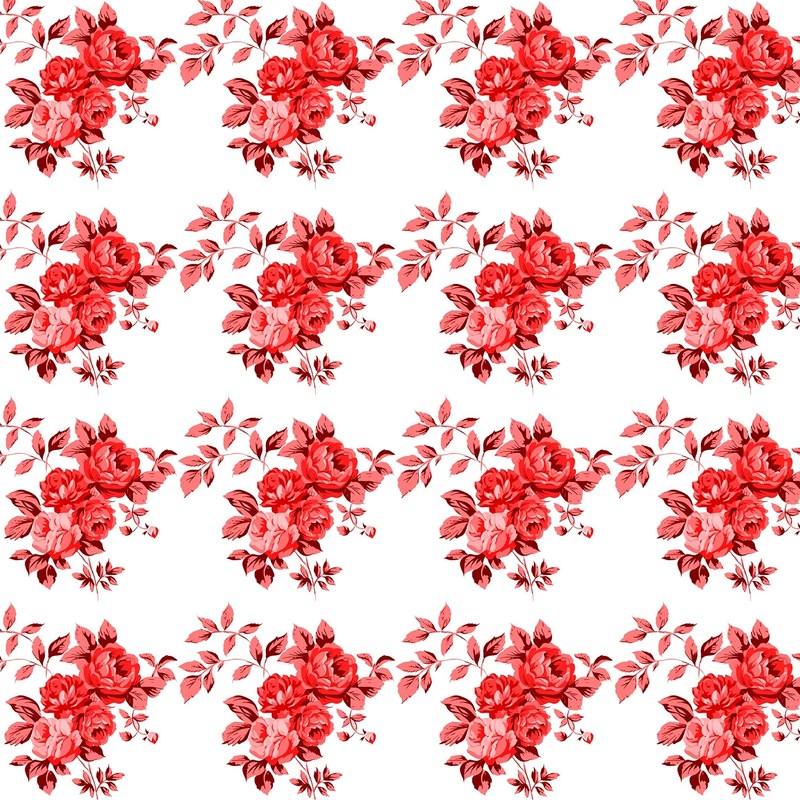 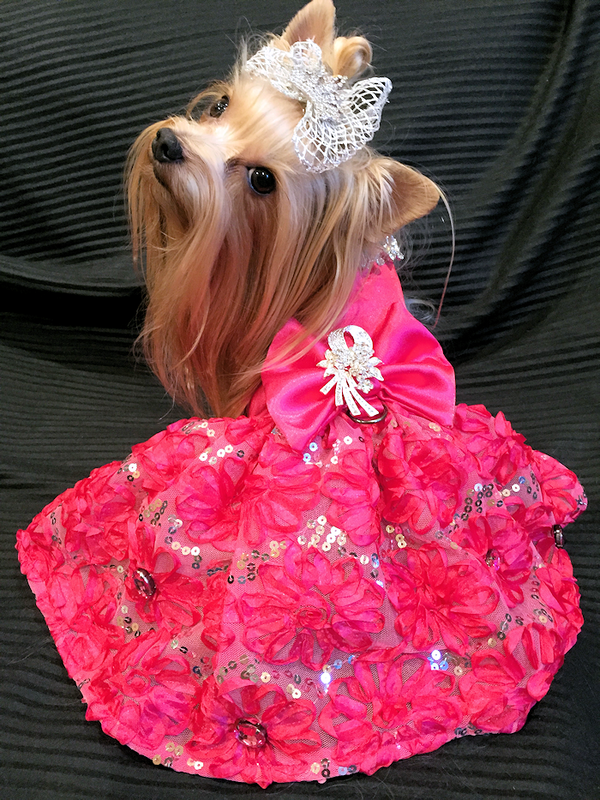 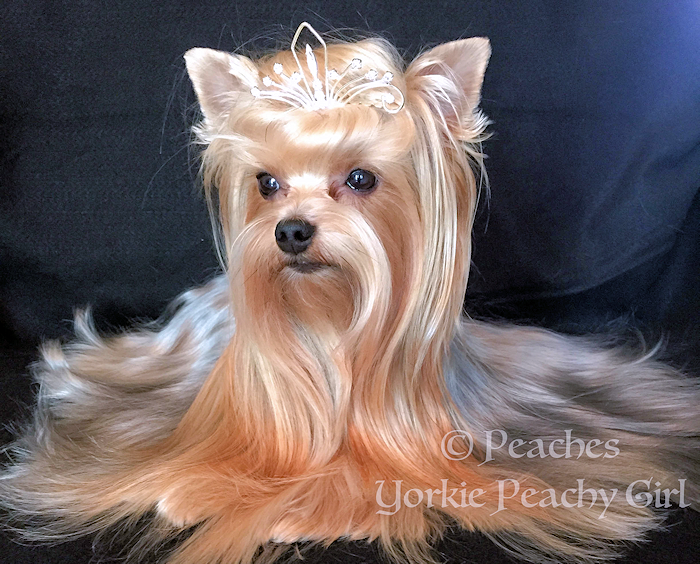 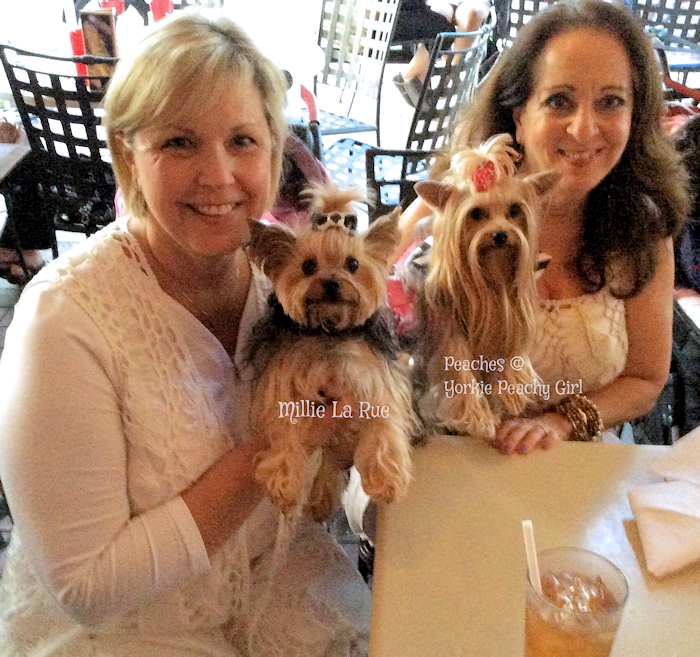 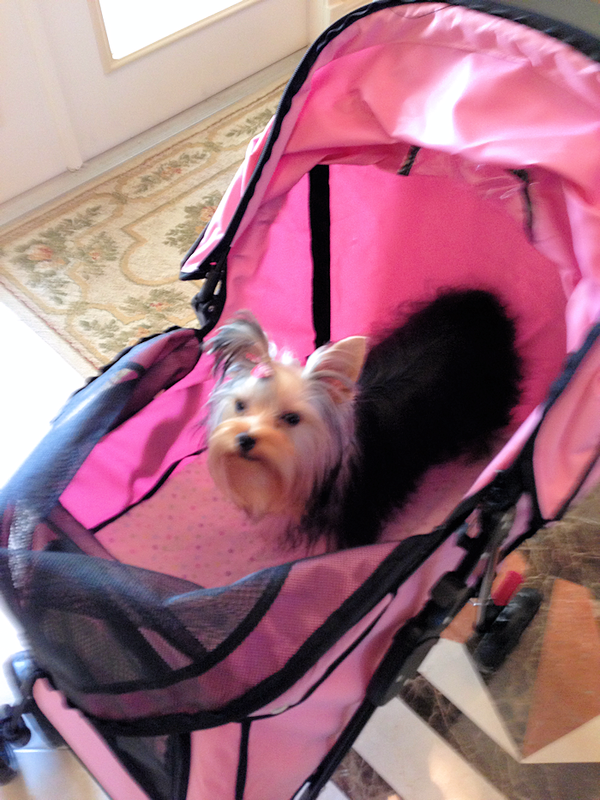 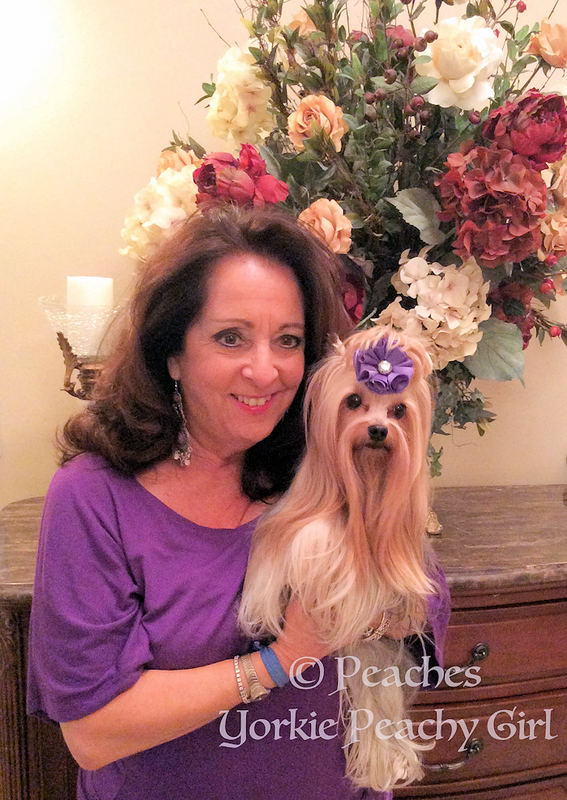 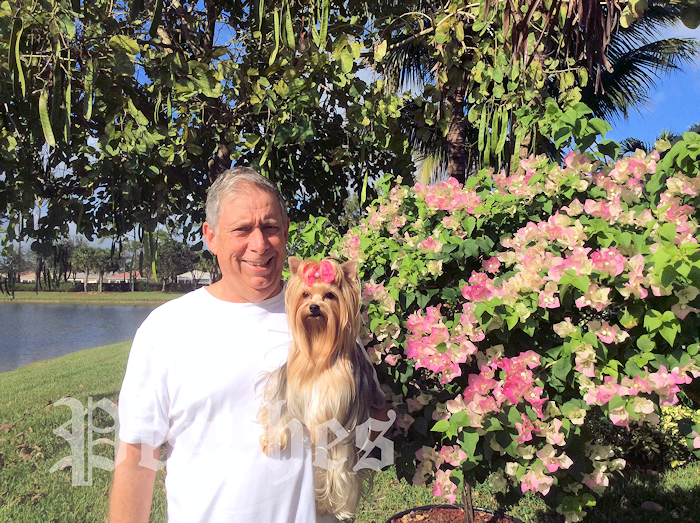 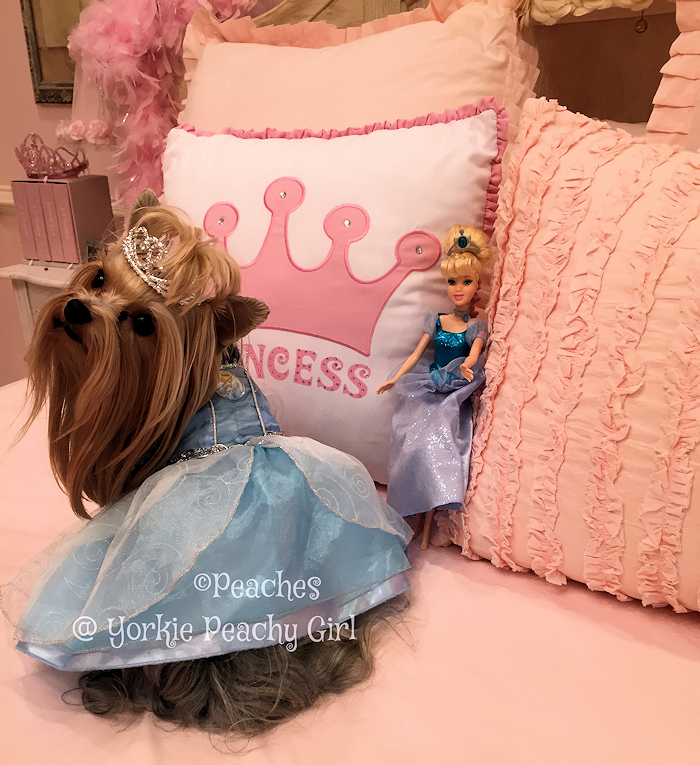 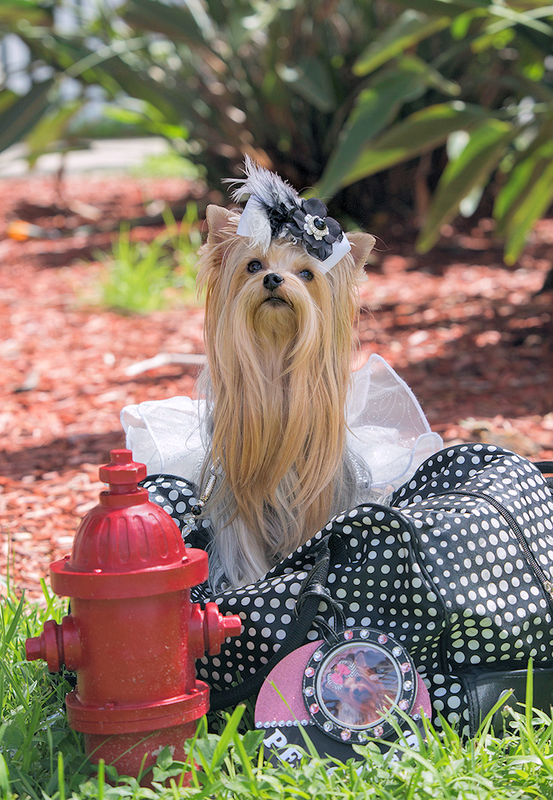 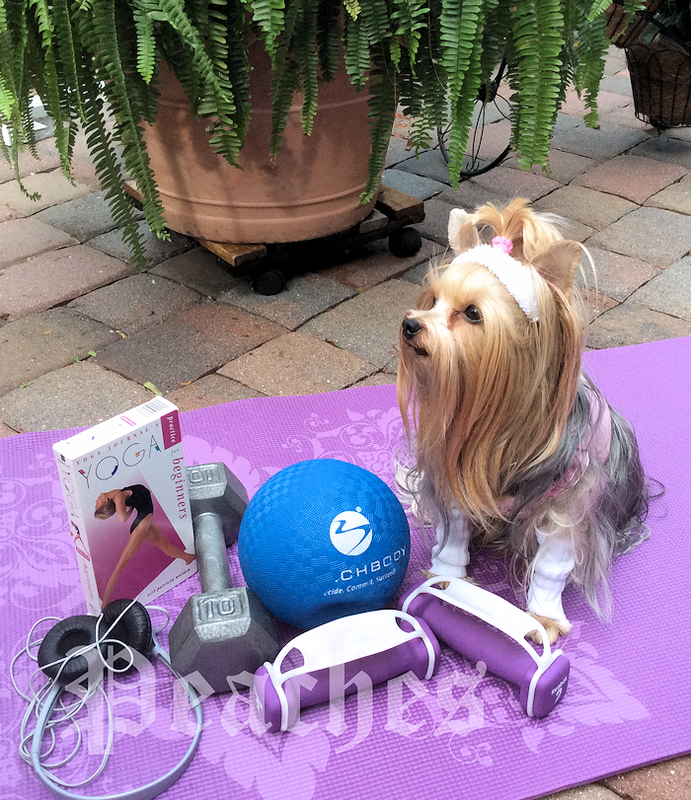 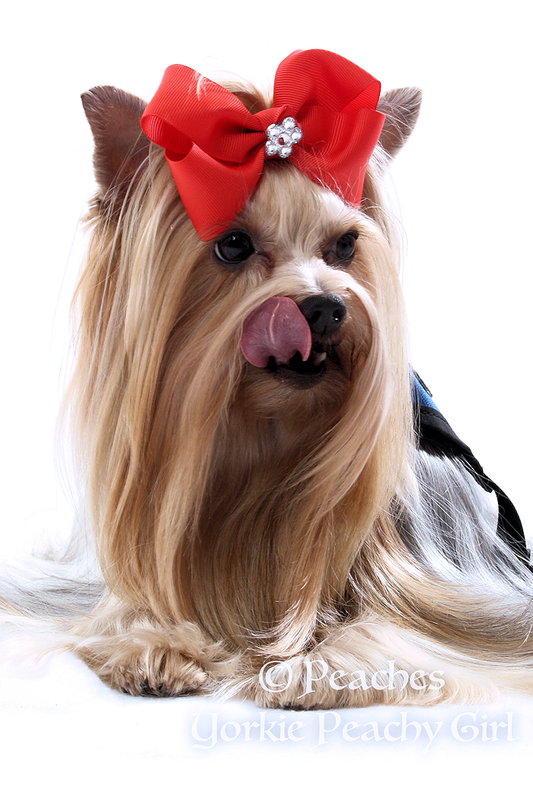 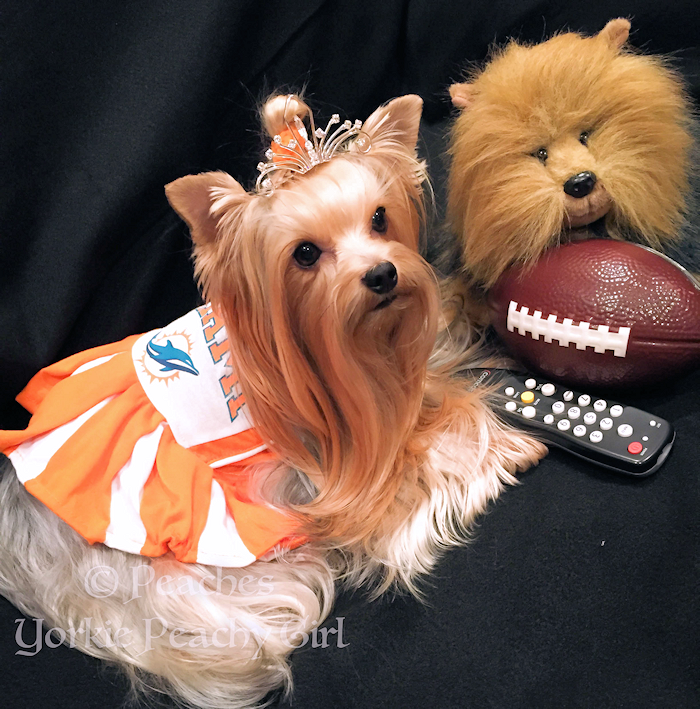 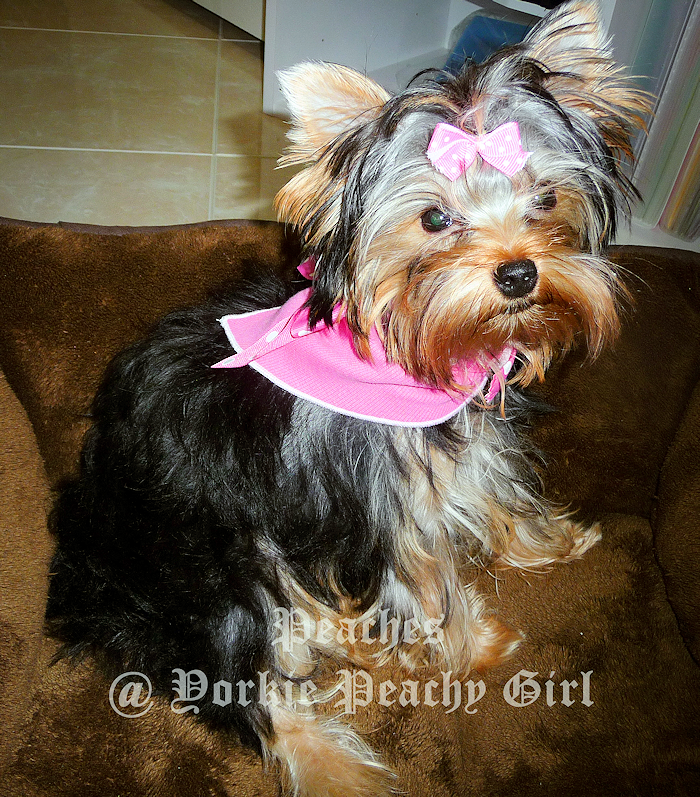 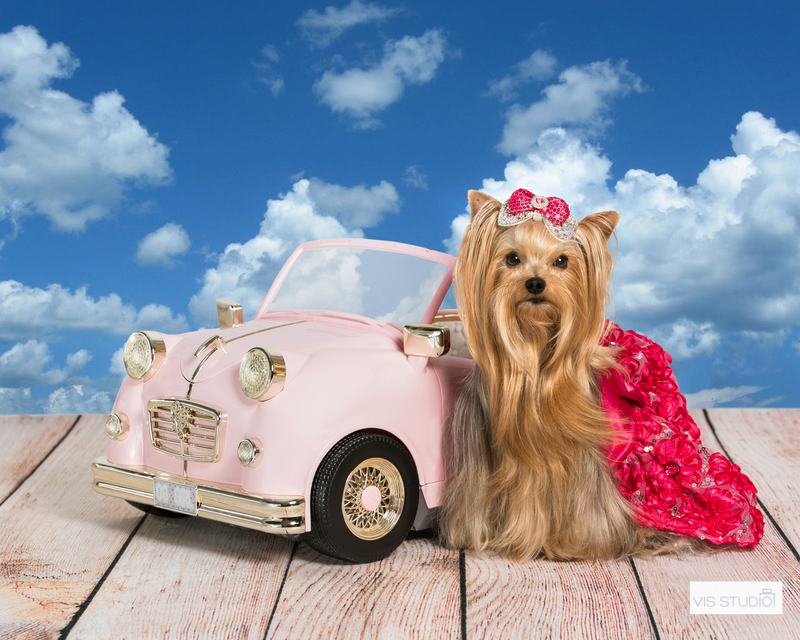 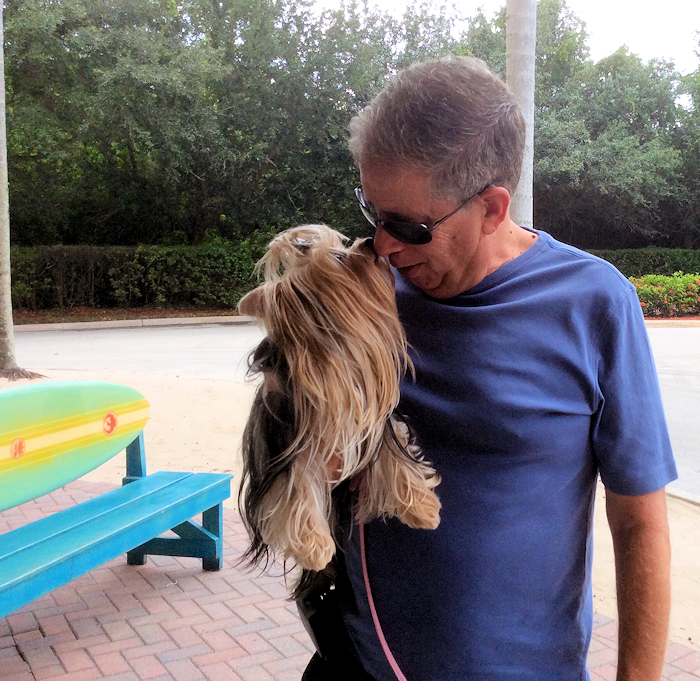 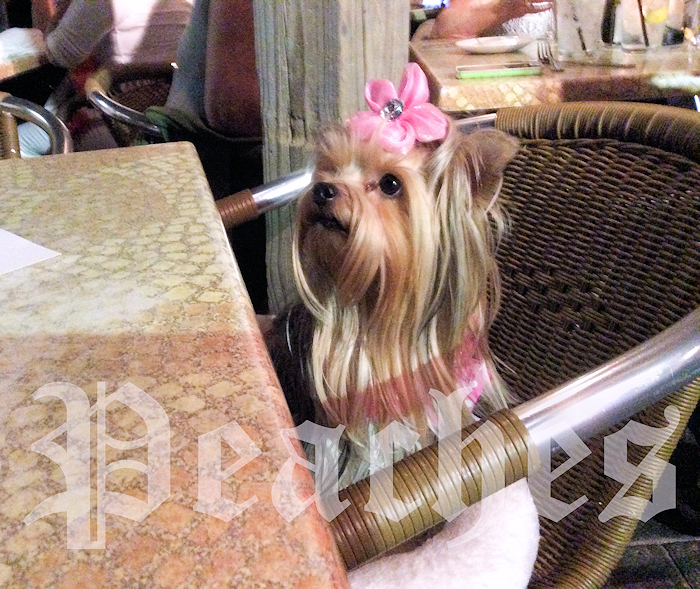 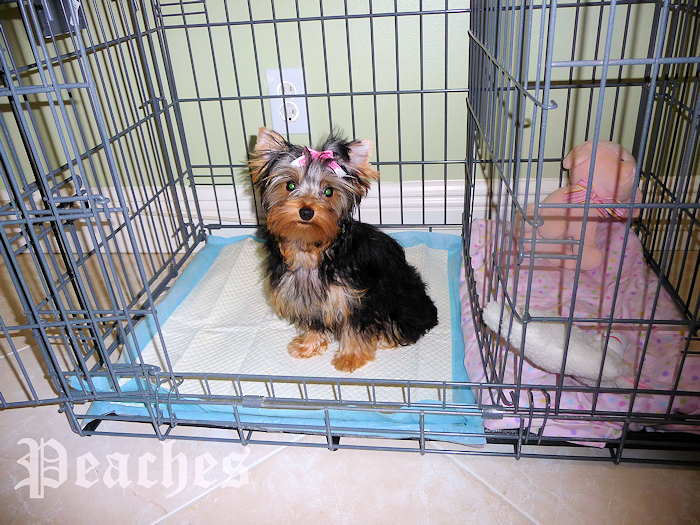 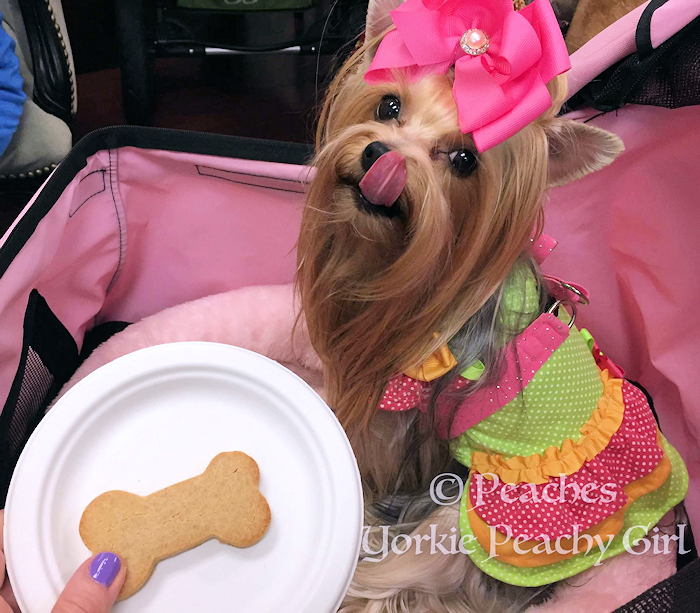 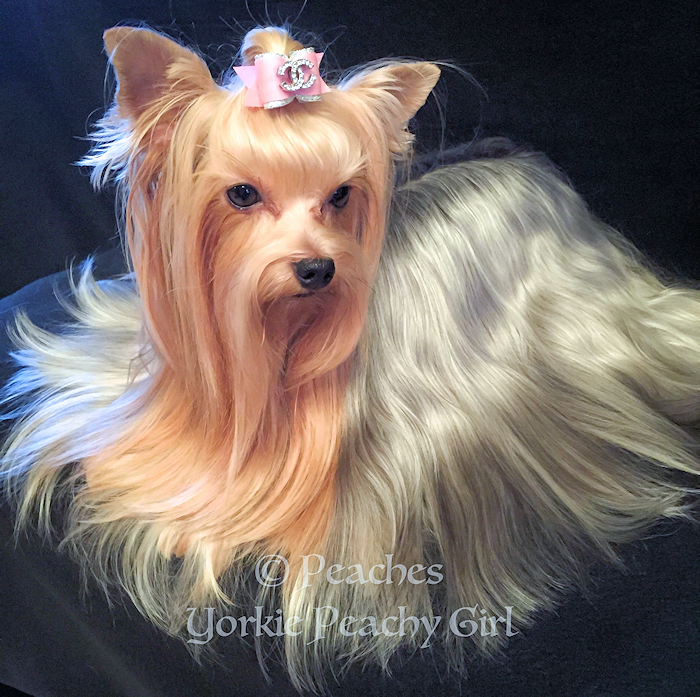 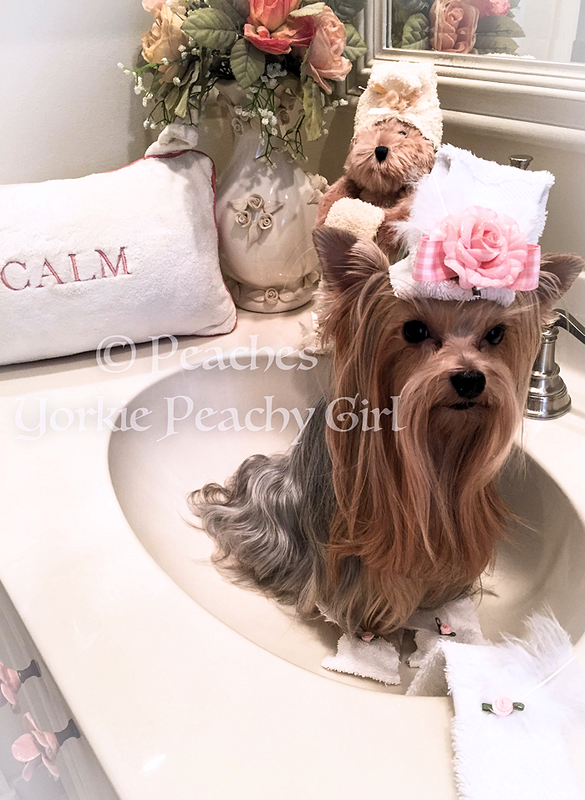 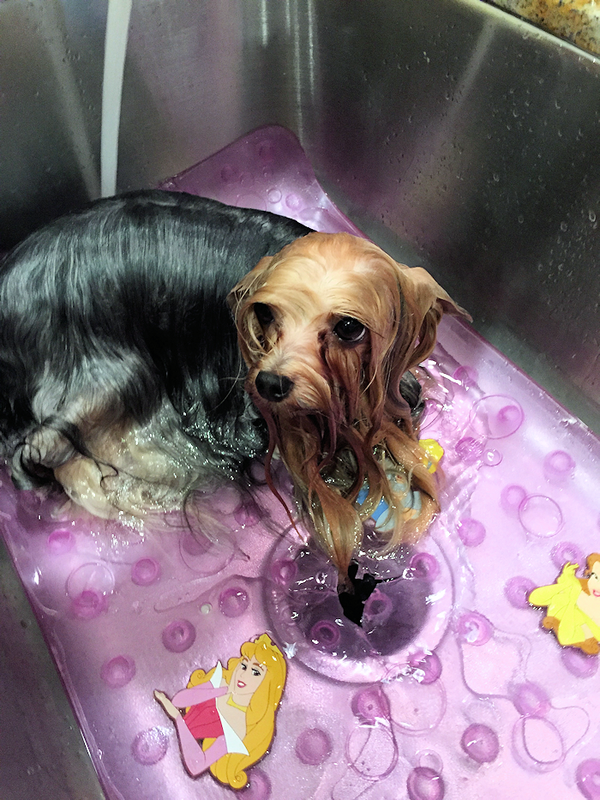 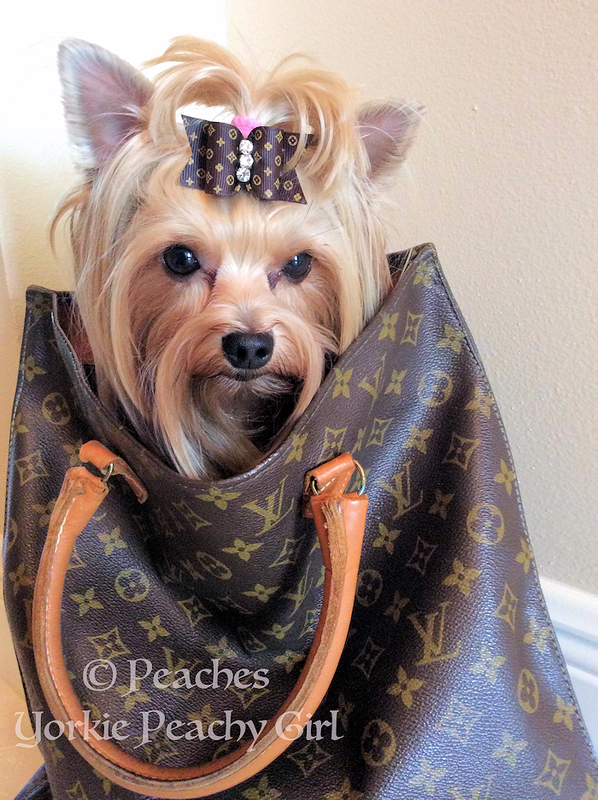 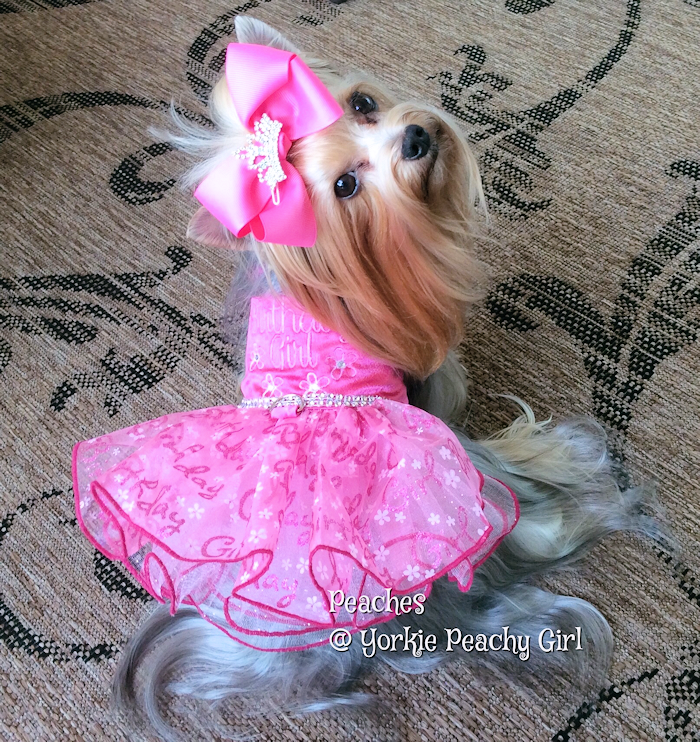 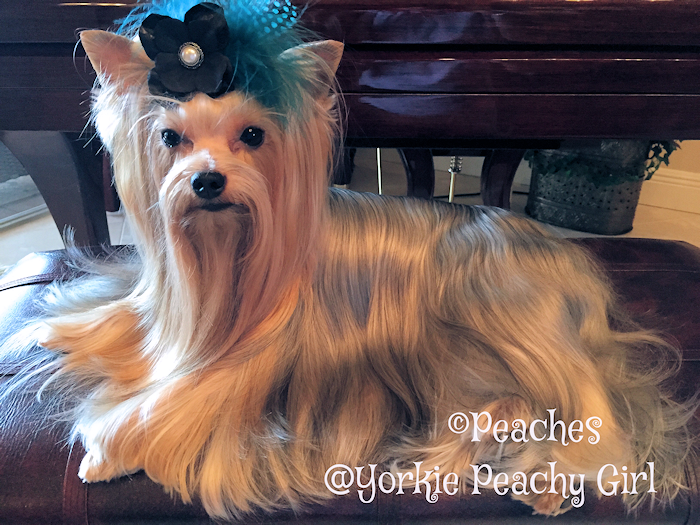 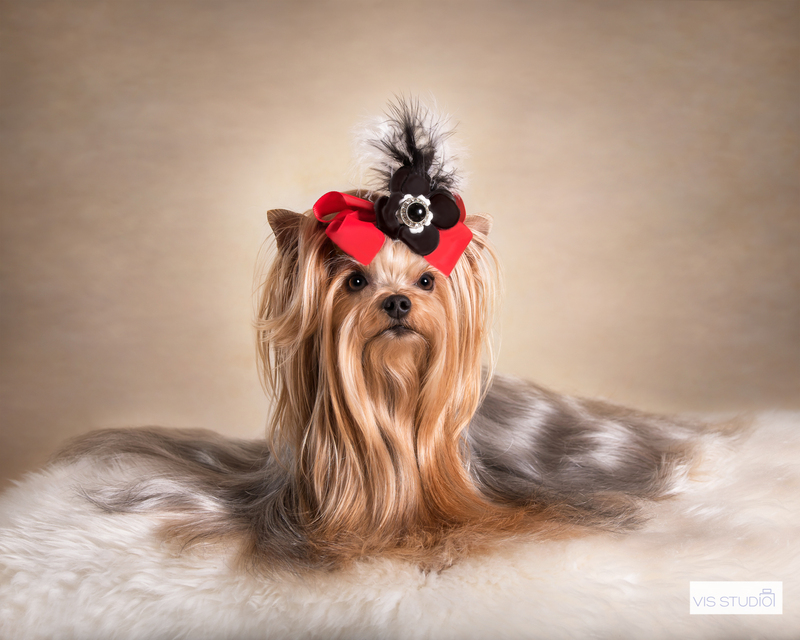 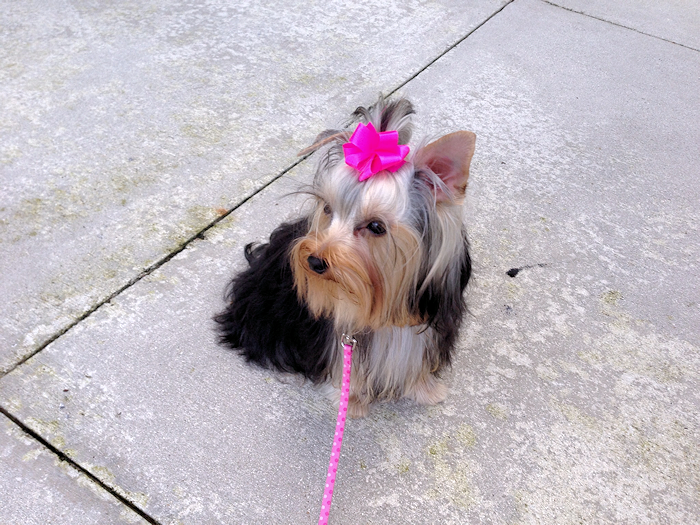 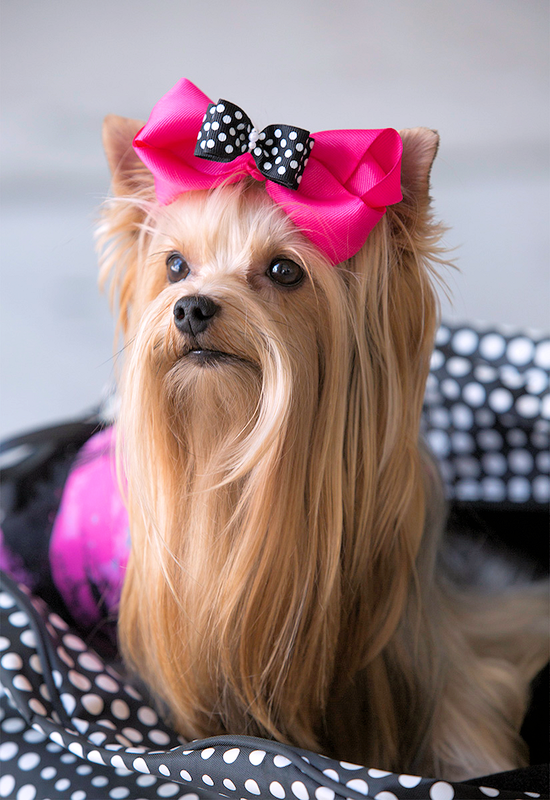 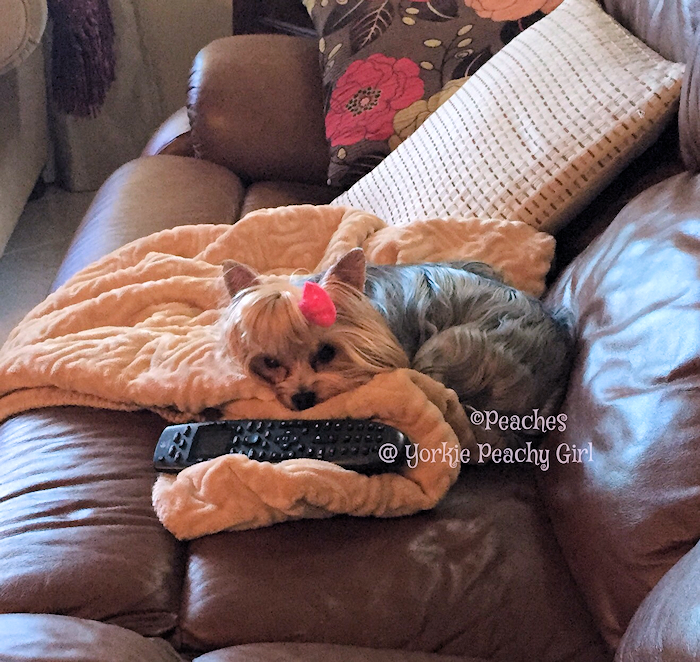 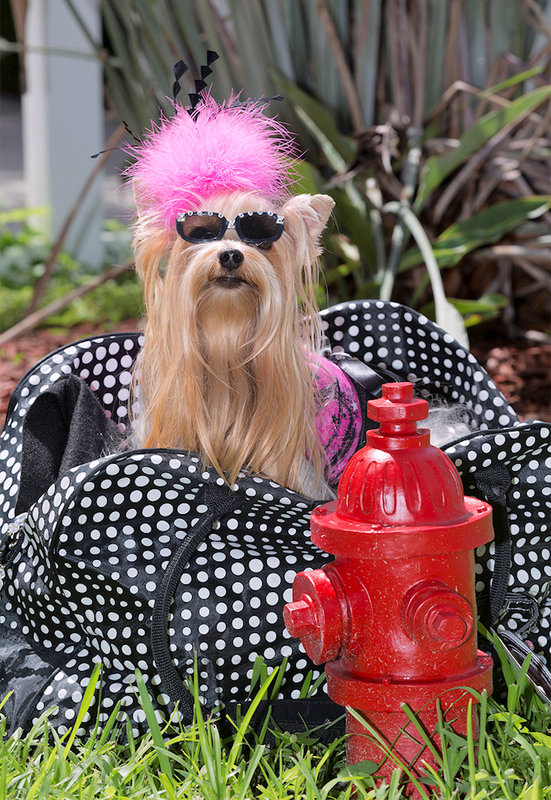 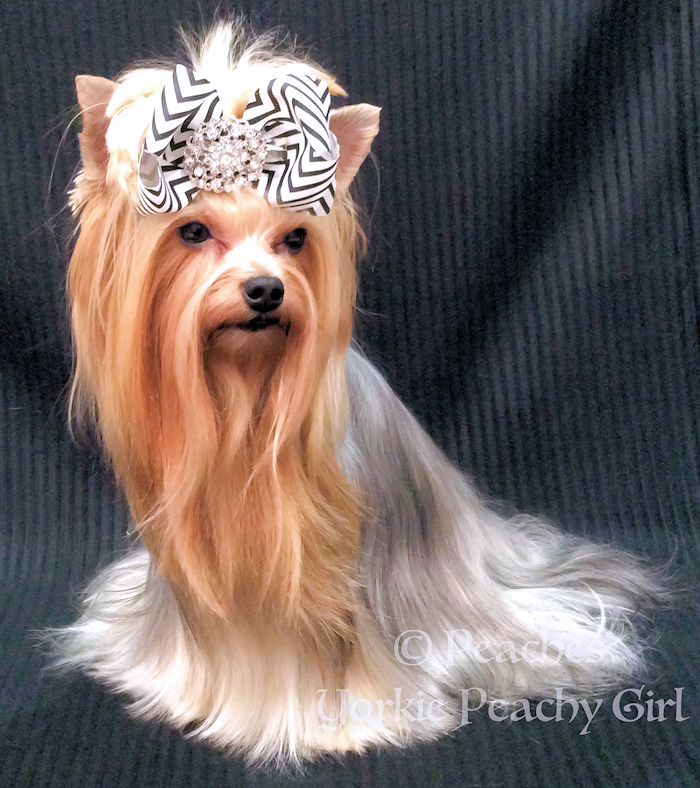 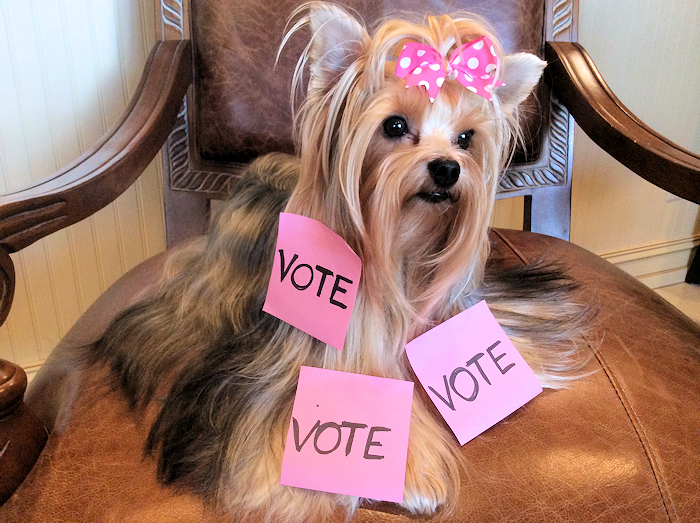 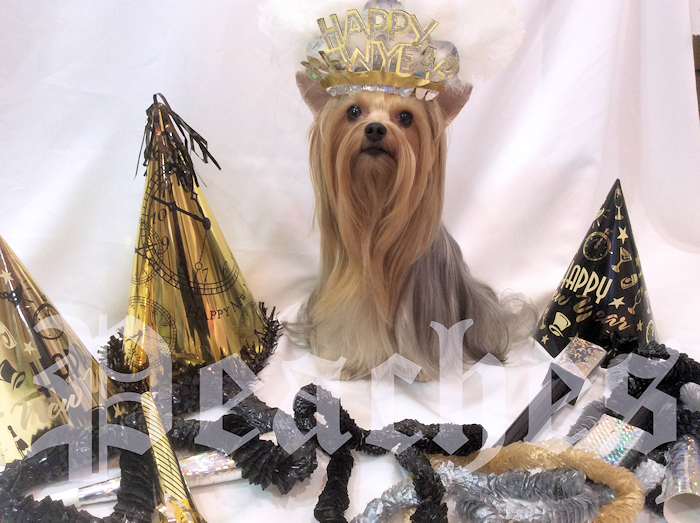 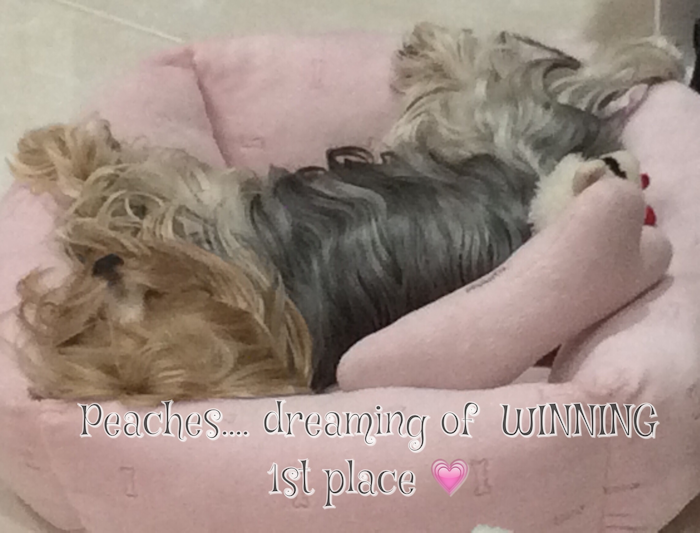 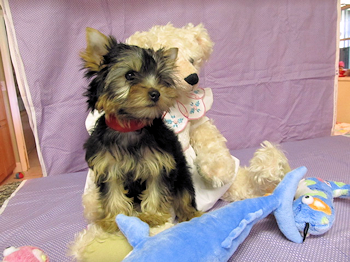 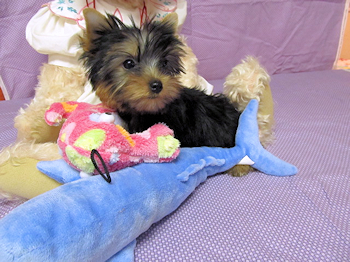 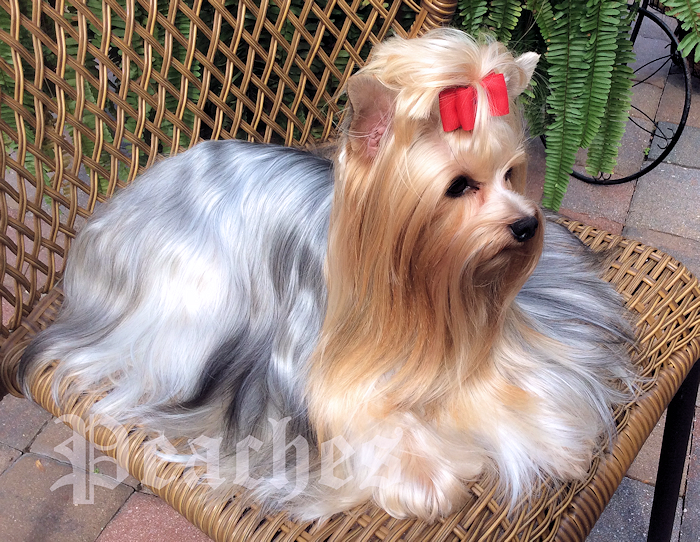 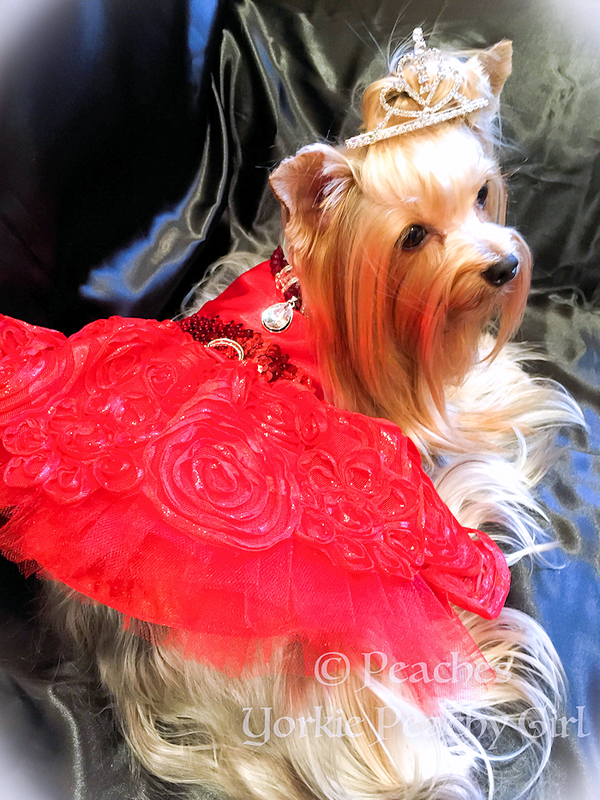 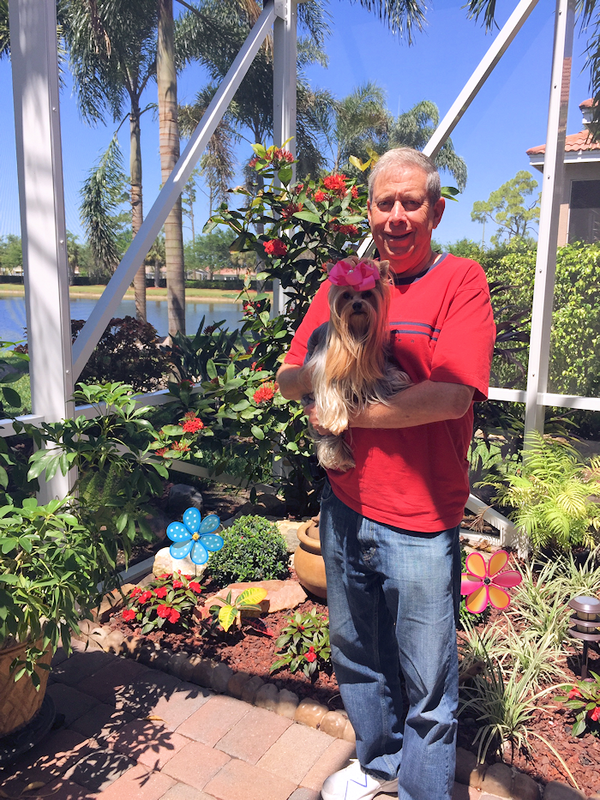 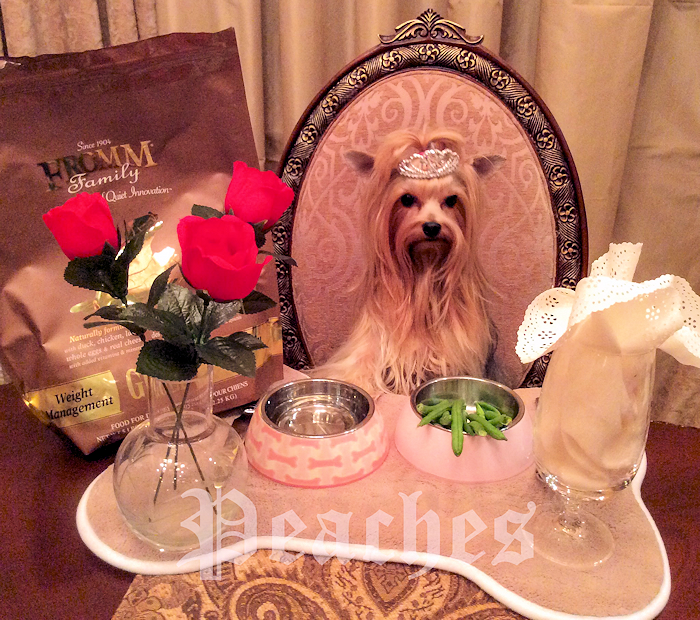 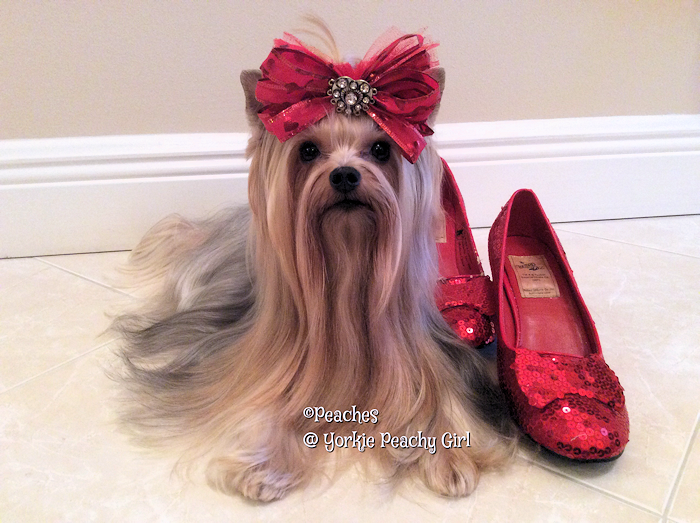 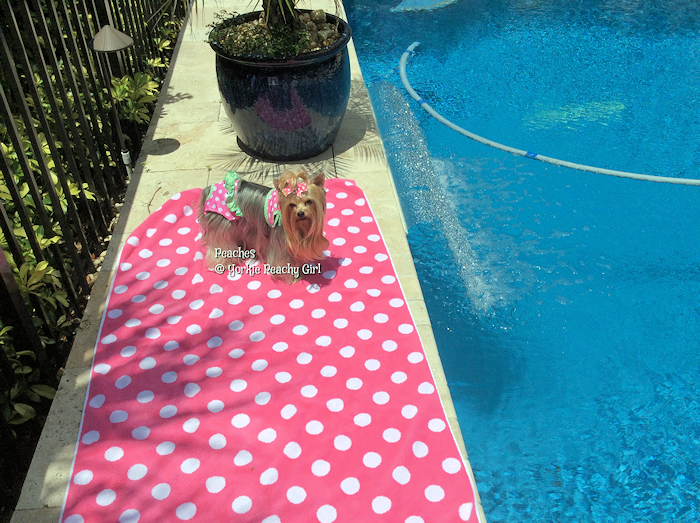 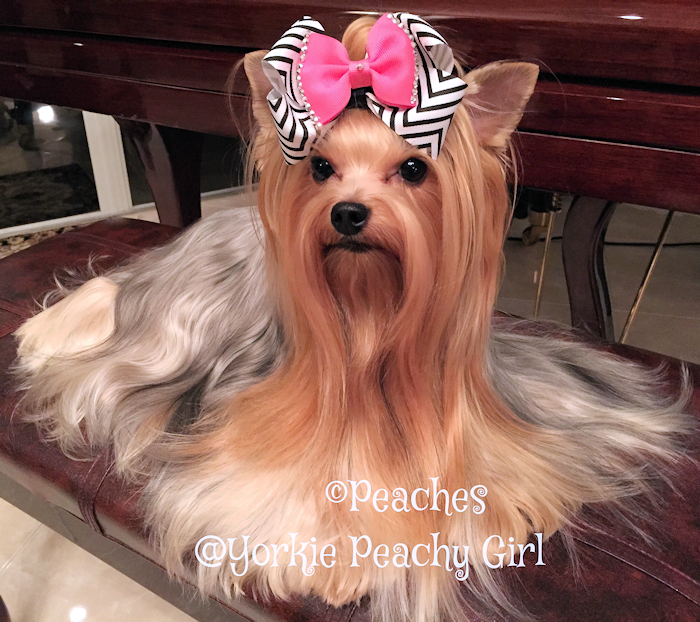 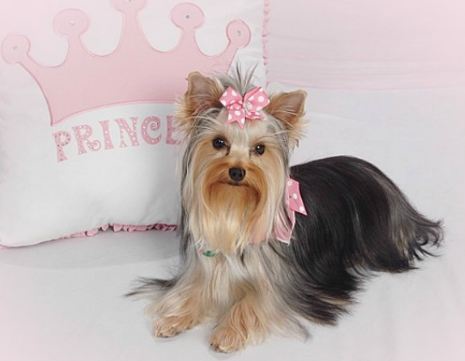 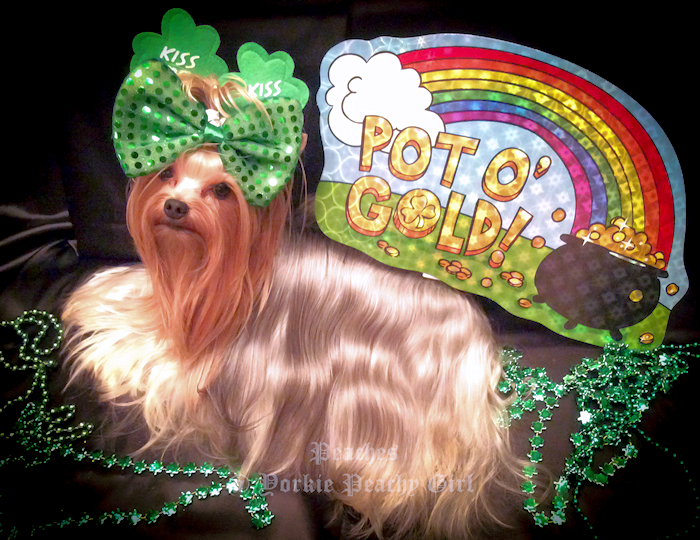 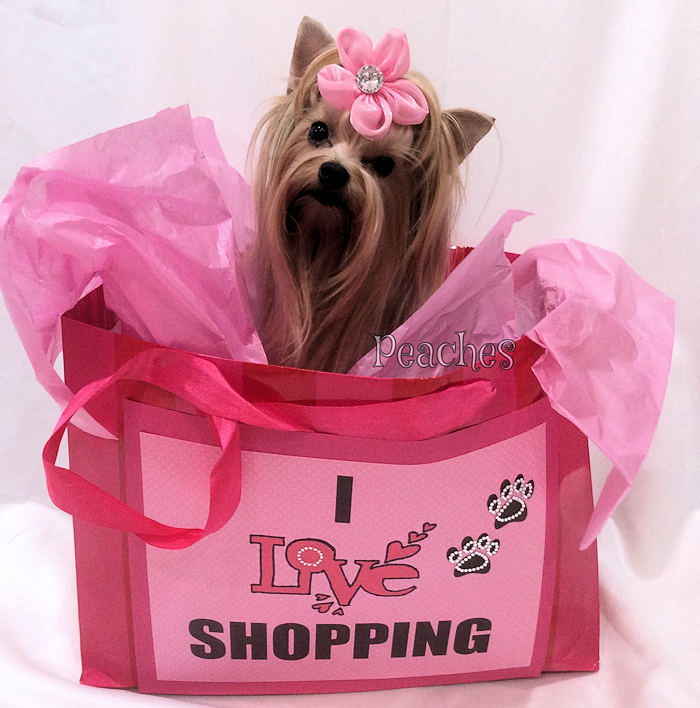 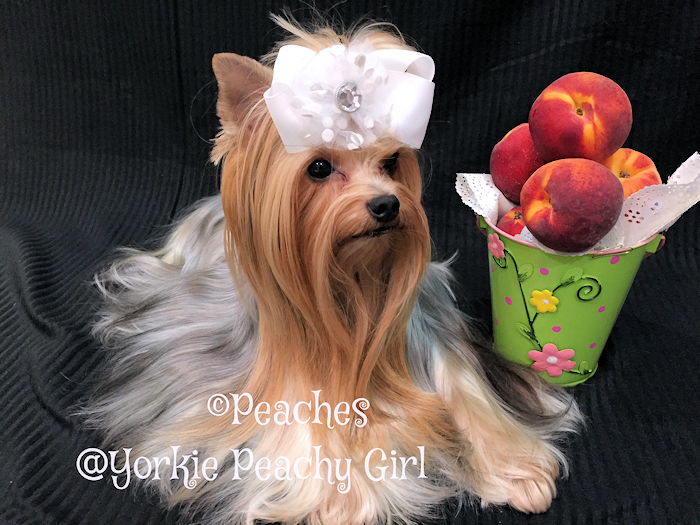 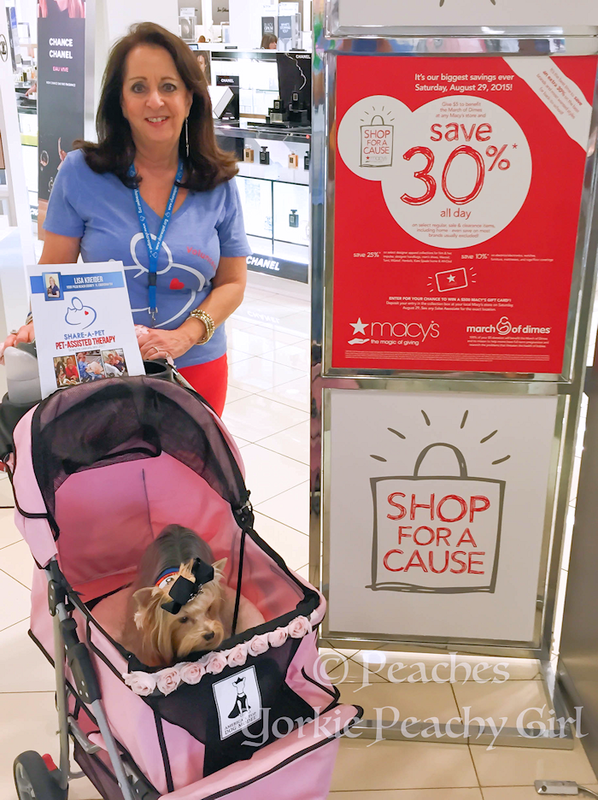 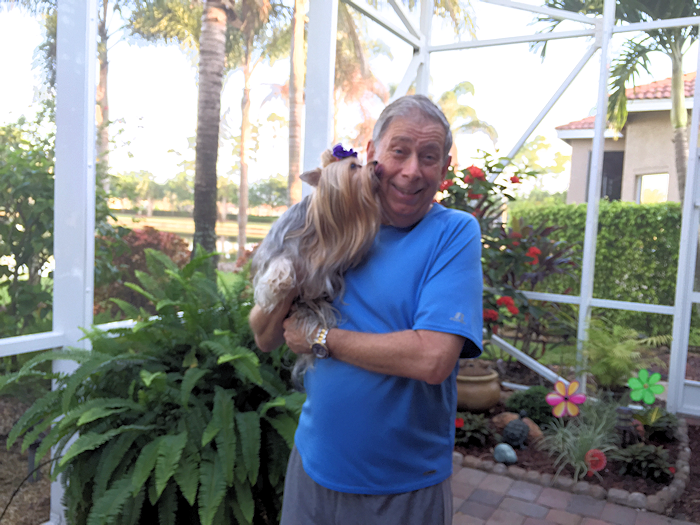 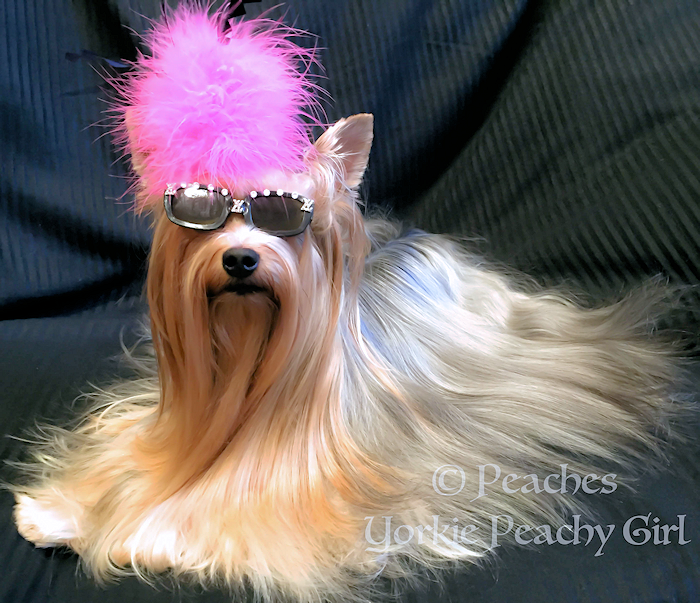 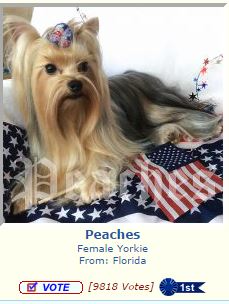 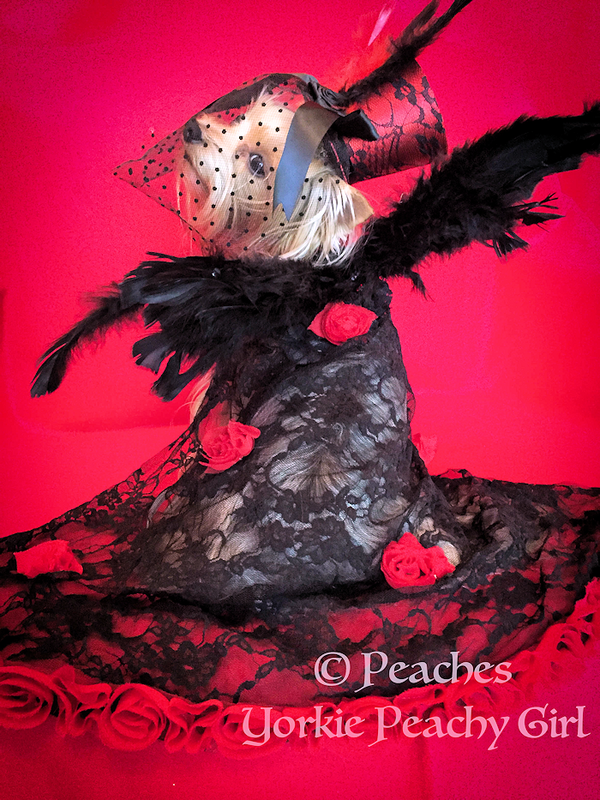 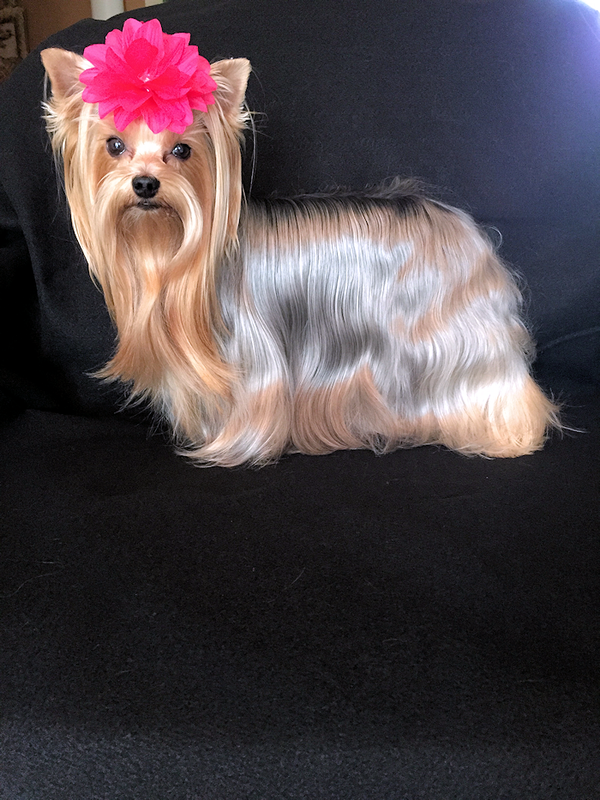 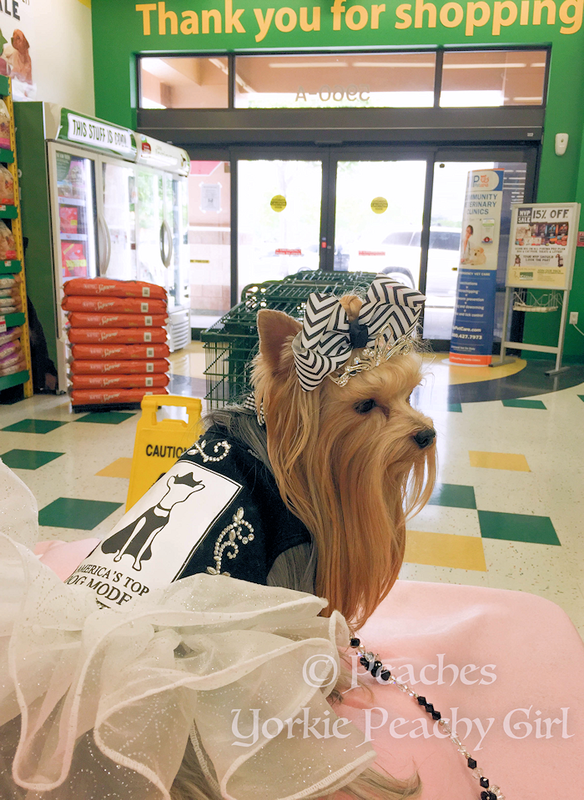 To follow her each day, Peaches has her own Face Book page with thousands of fans @Yorkie Peachy Girl. 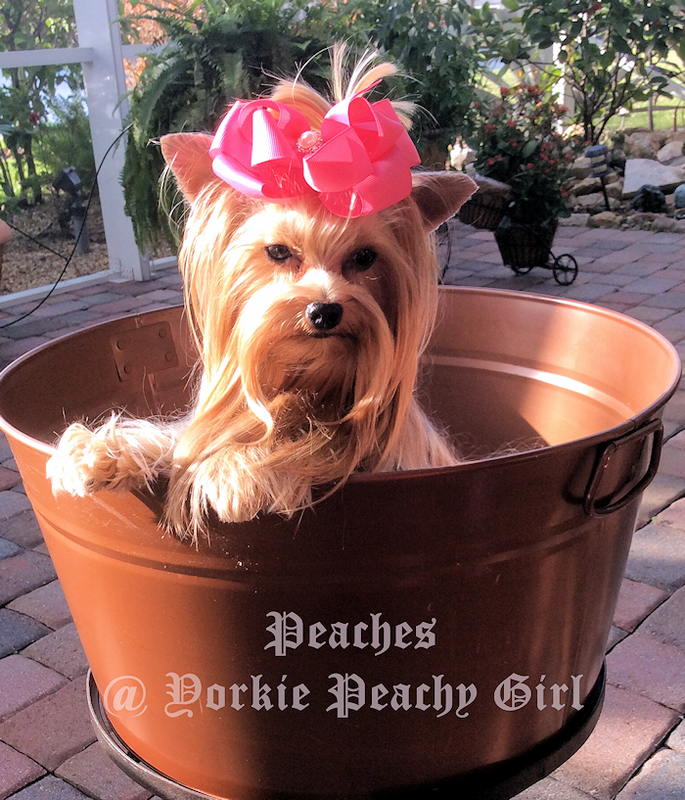 She would love it if you stop by and PAW her "Like" button. 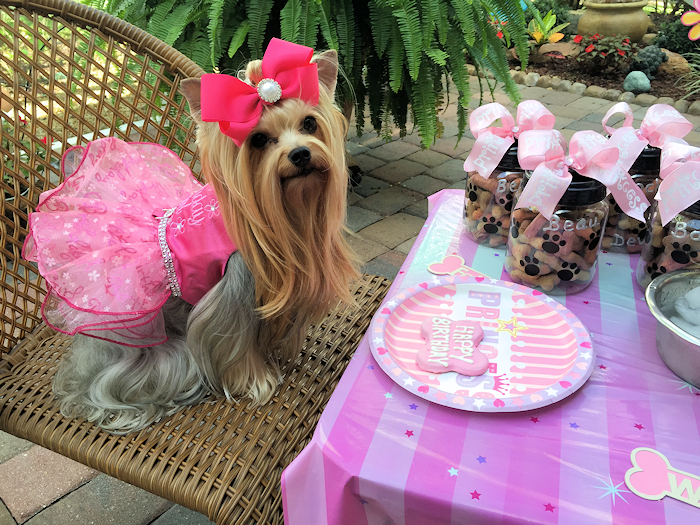 Some highlights from my 1 year!